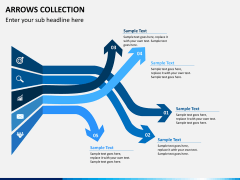 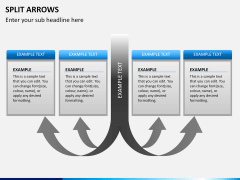 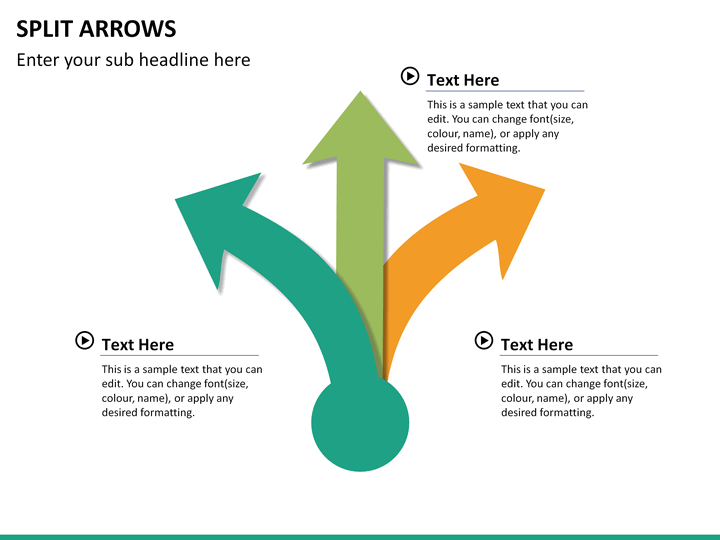 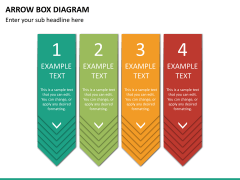 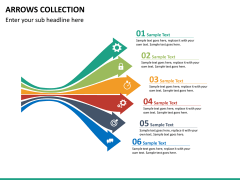 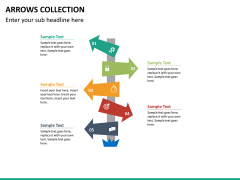 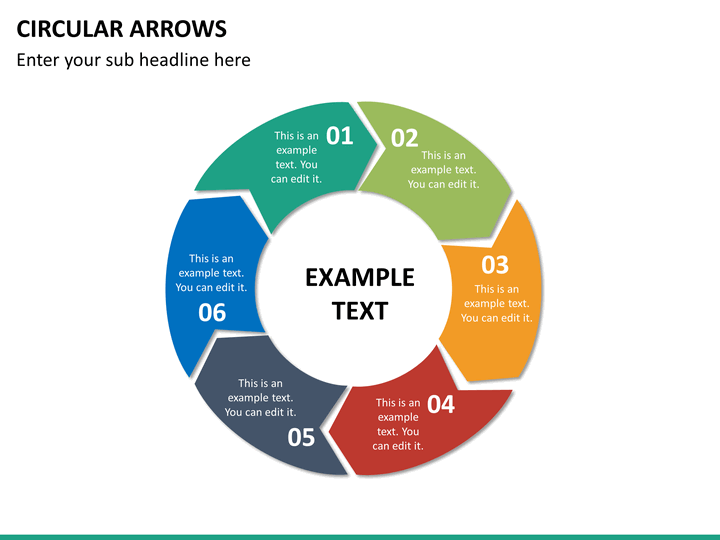 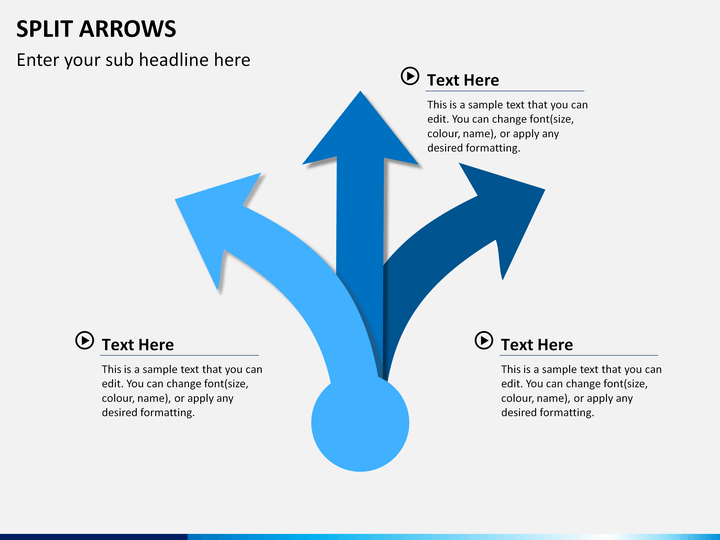 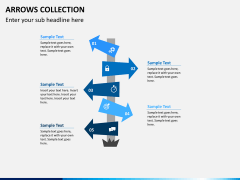 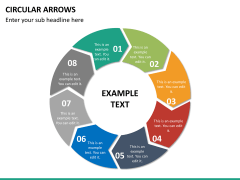 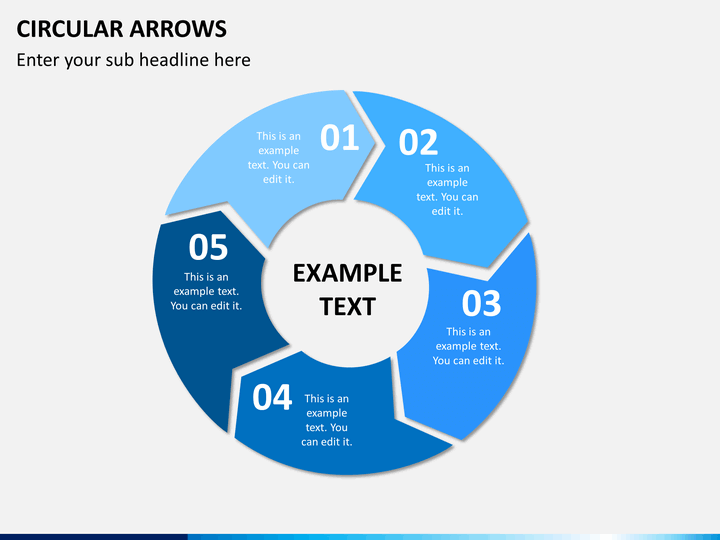 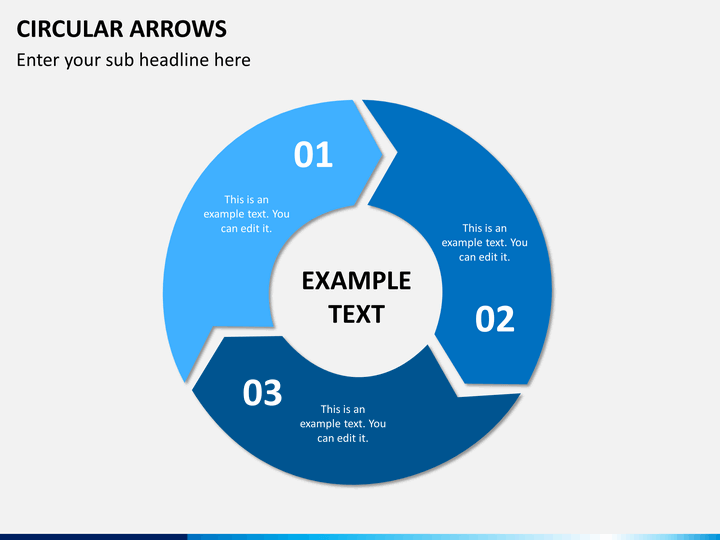 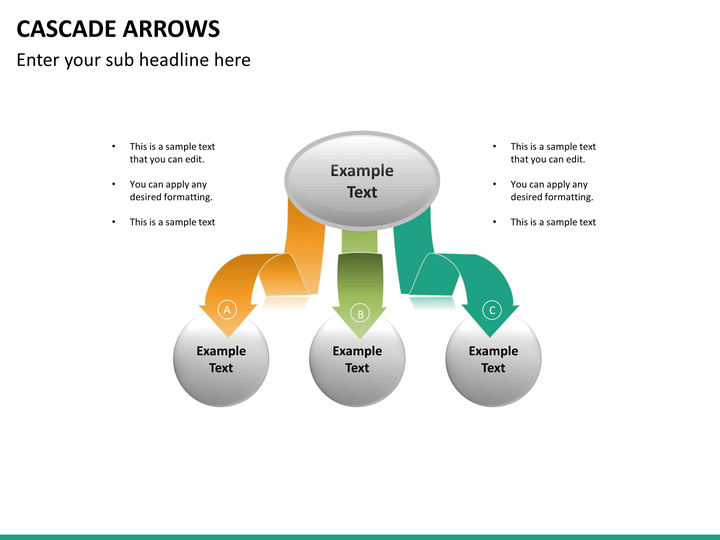 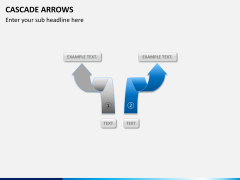 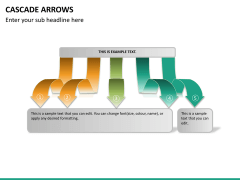 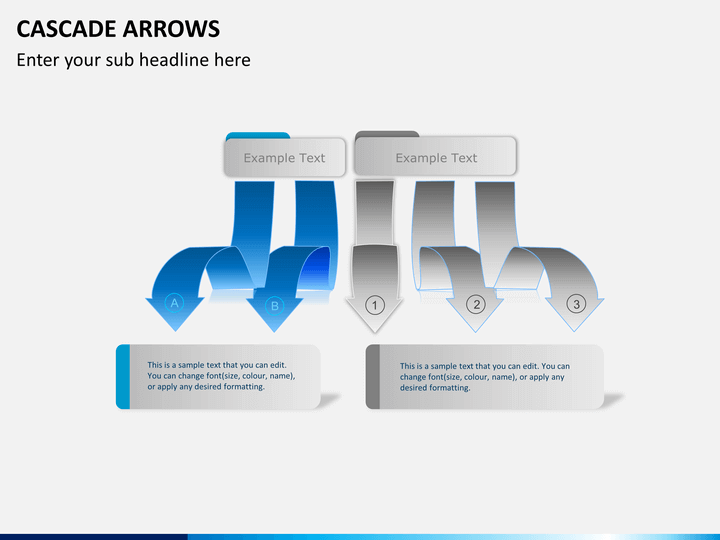 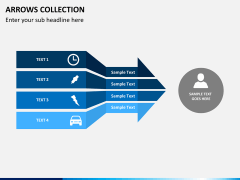 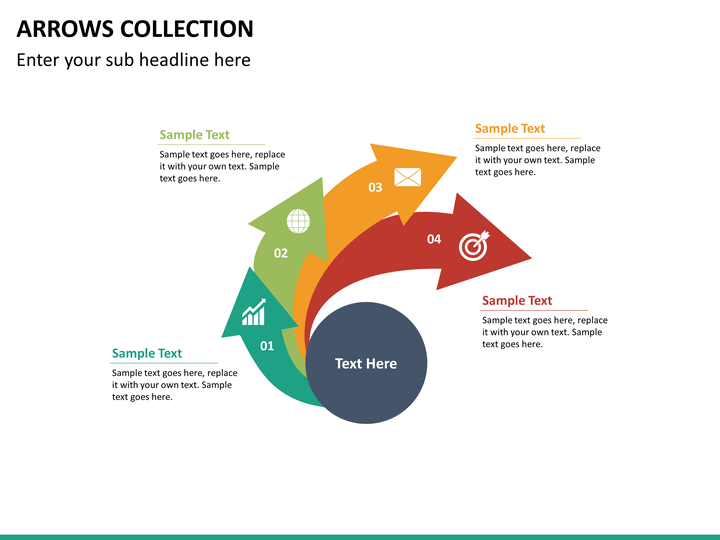 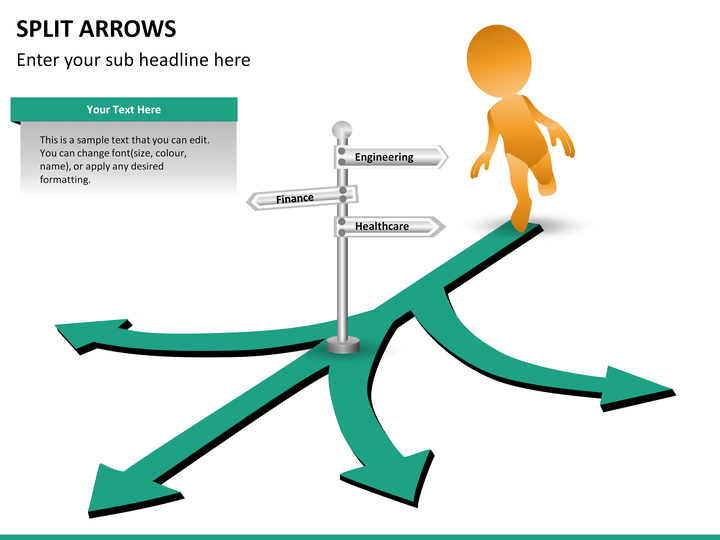 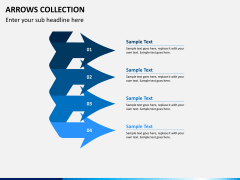 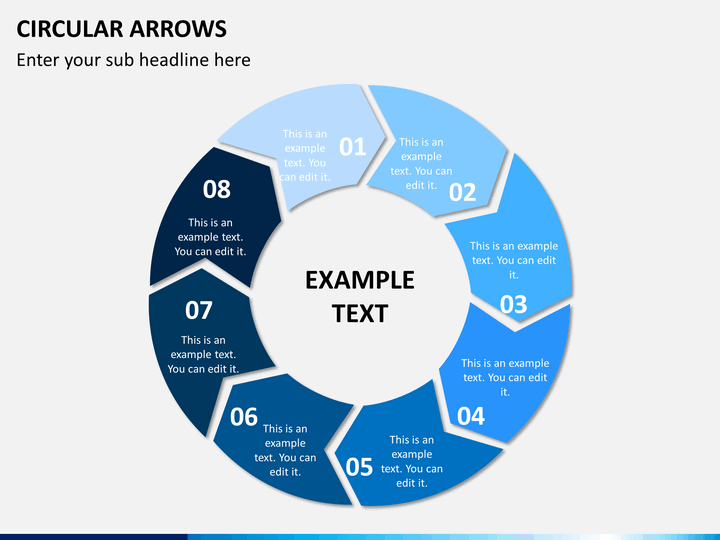 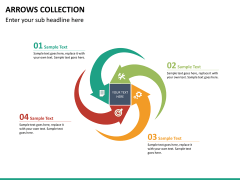 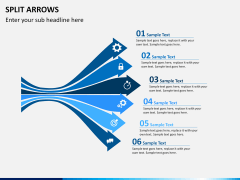 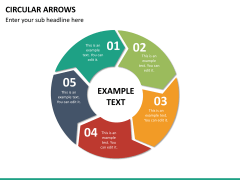 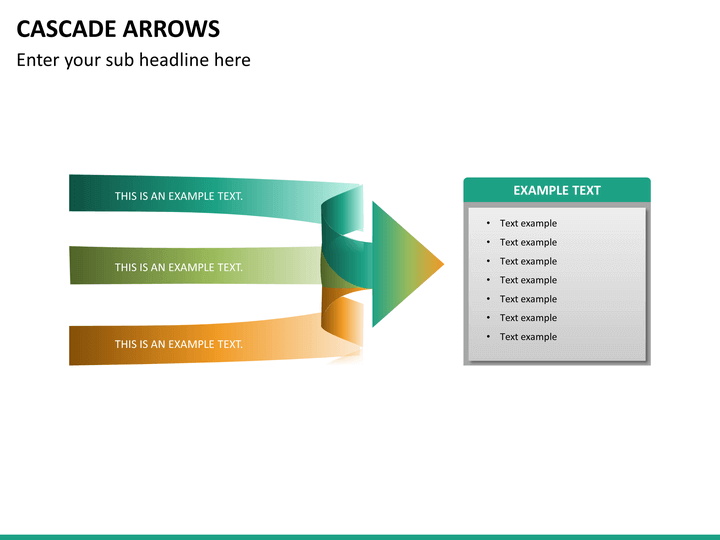 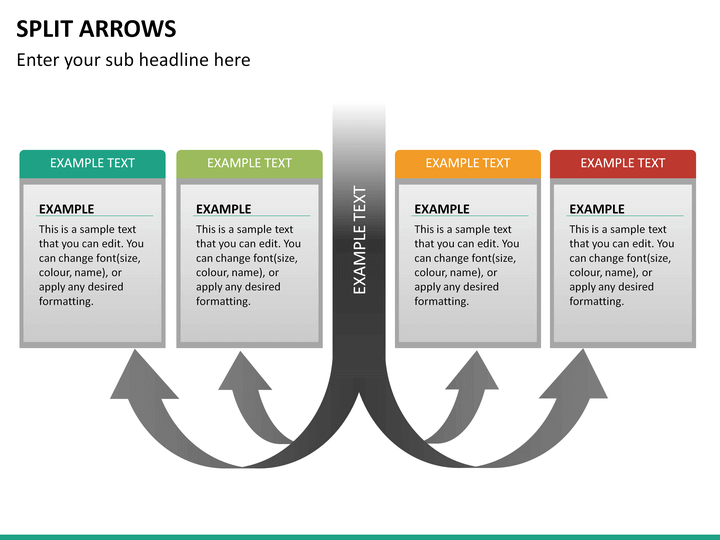 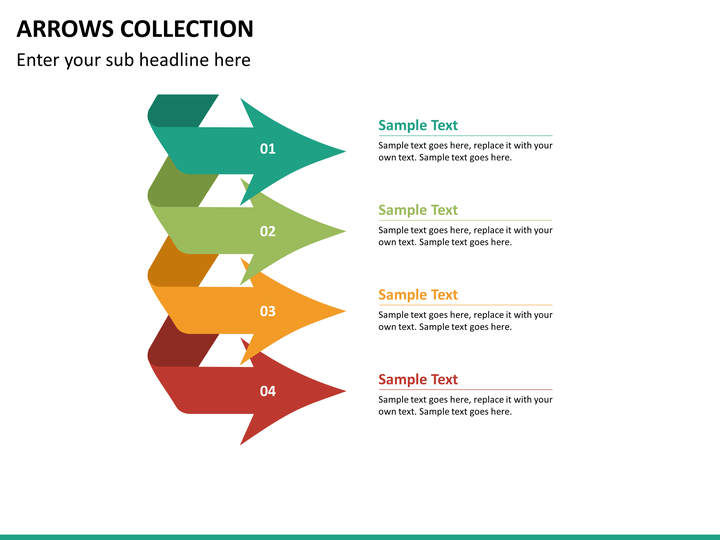 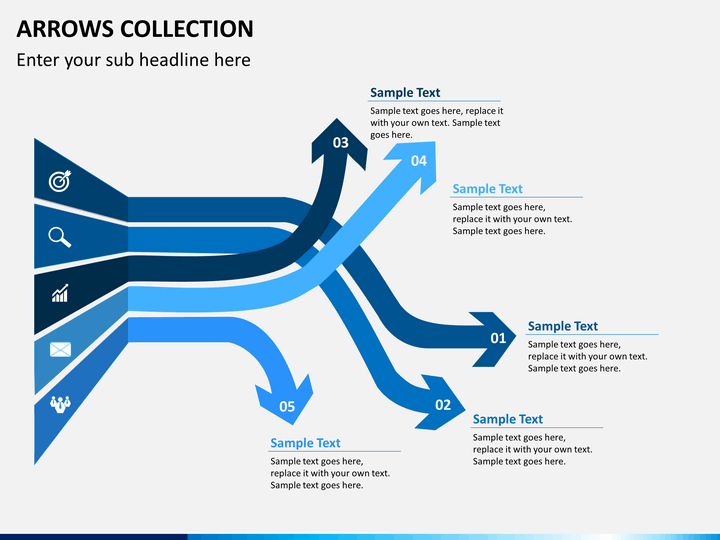 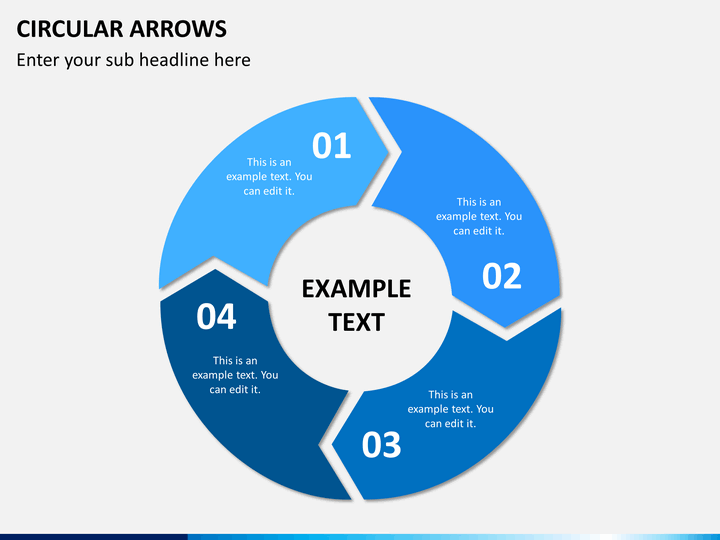 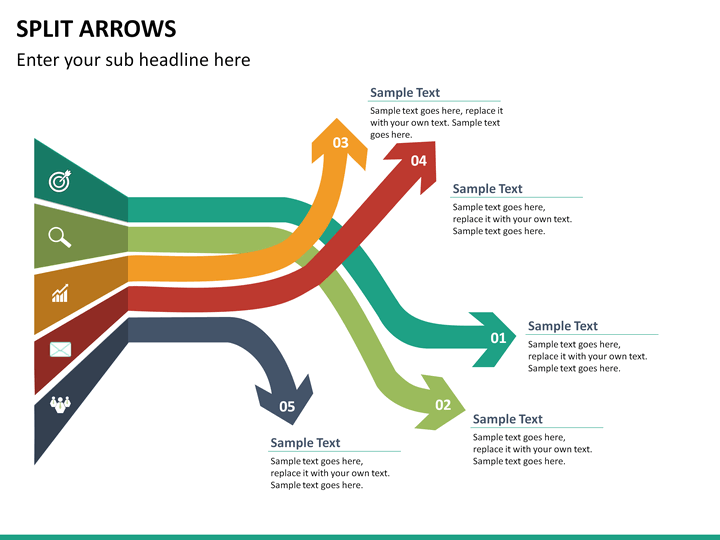 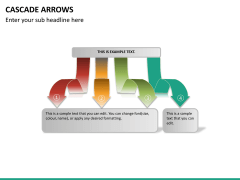 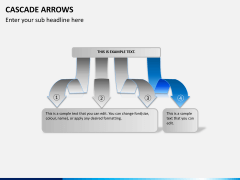 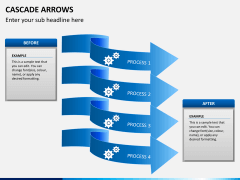 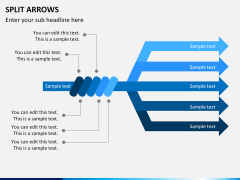 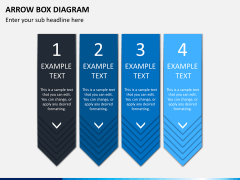 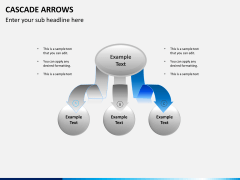 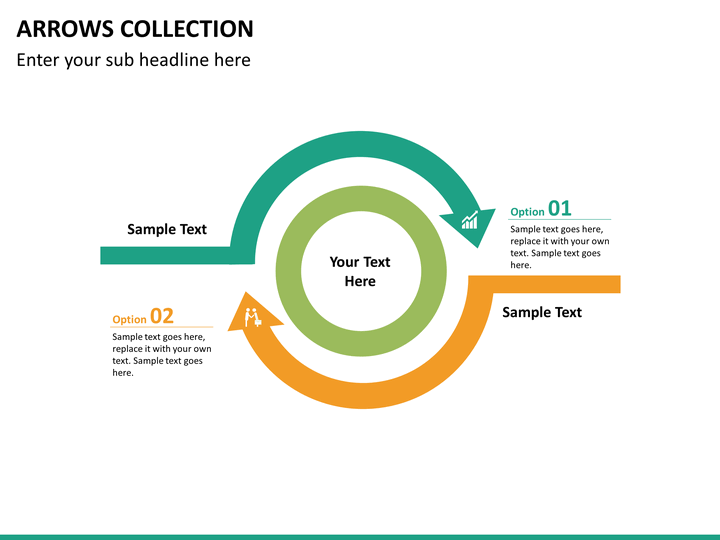 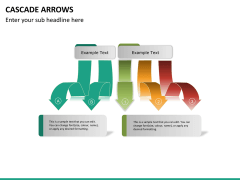 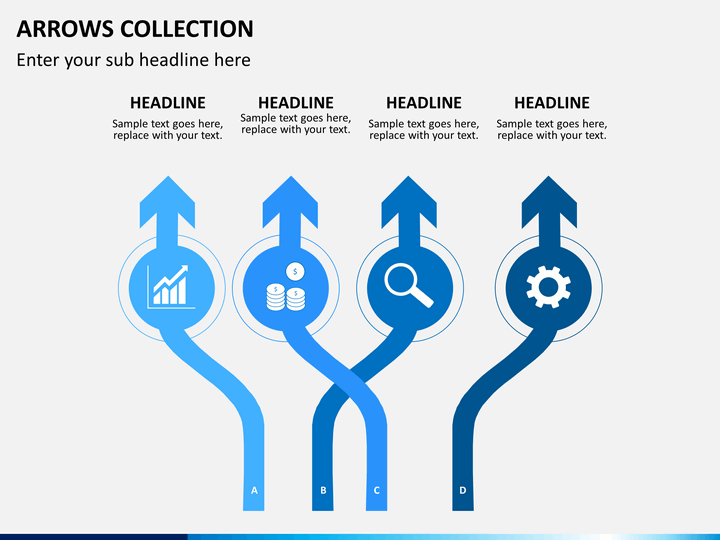 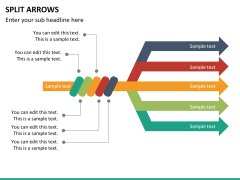 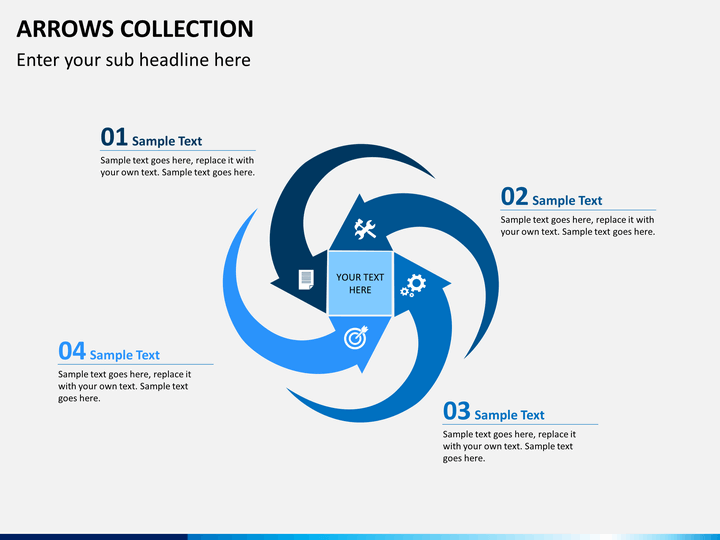 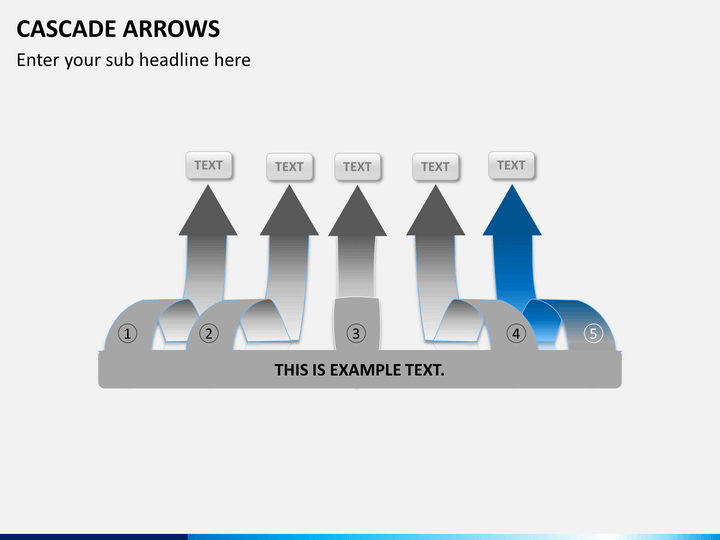 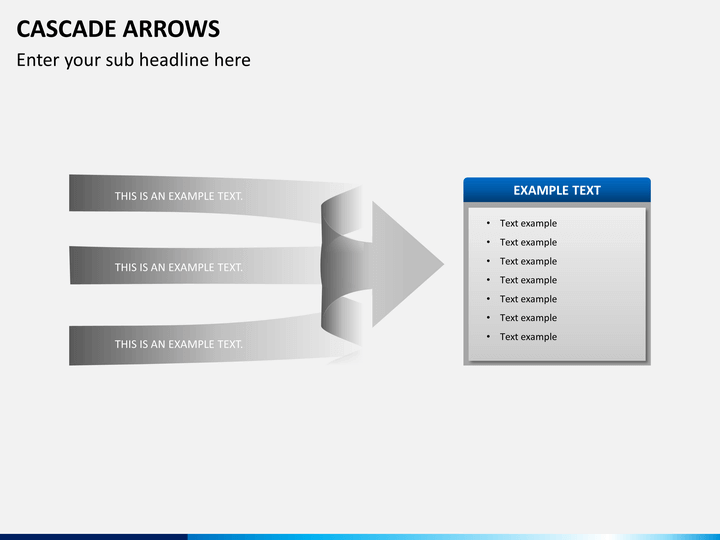 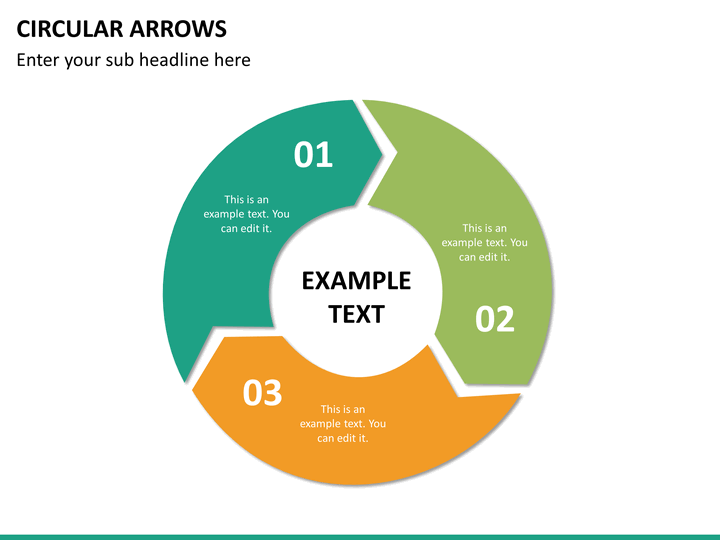 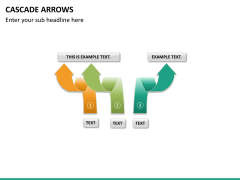 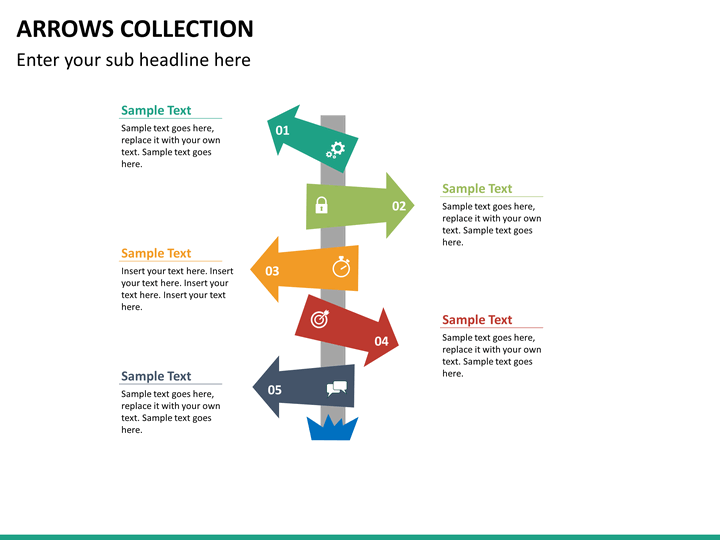 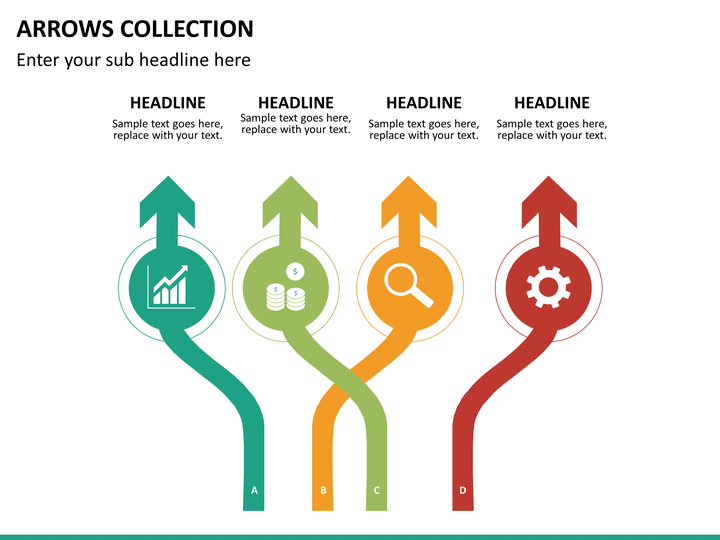 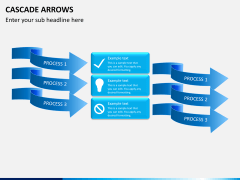 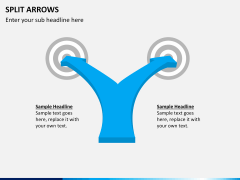 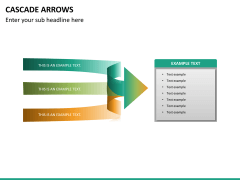 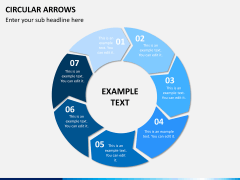 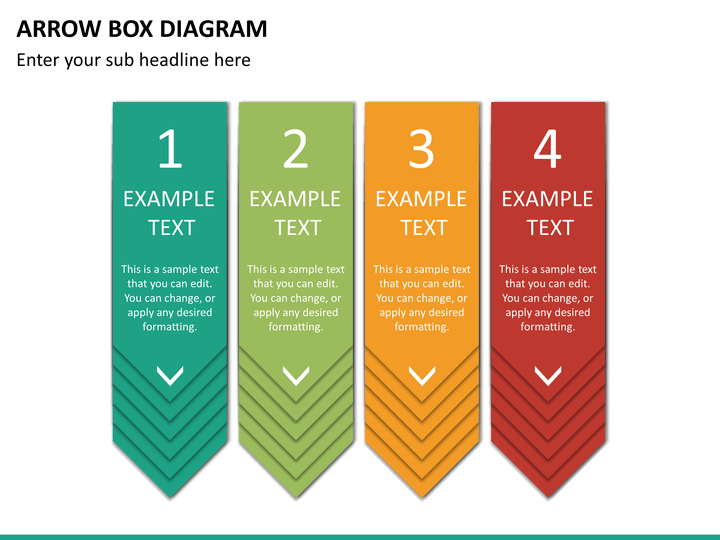 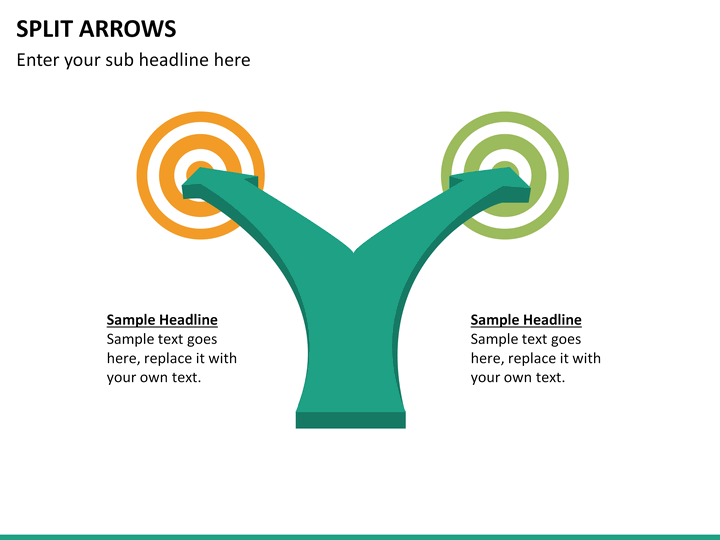 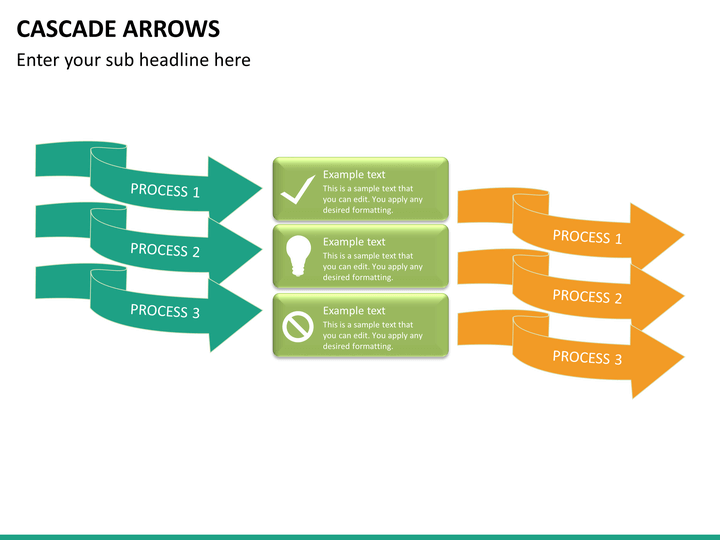 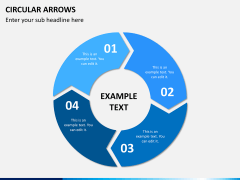 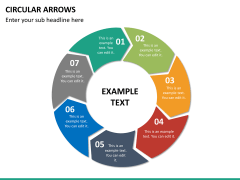 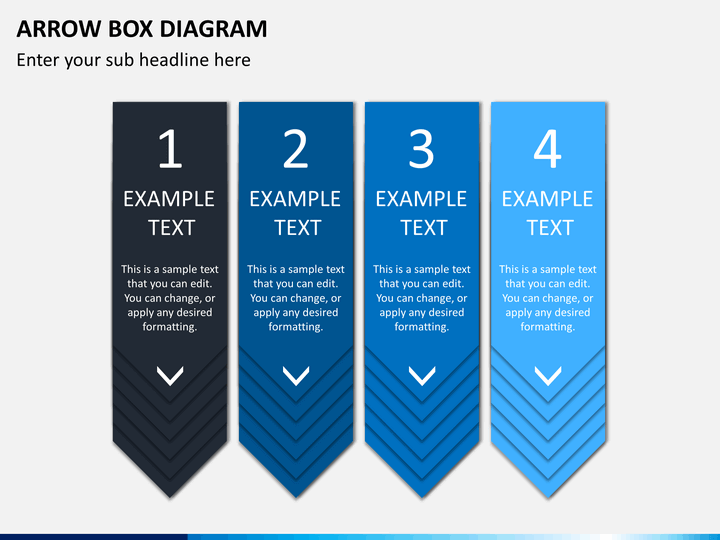 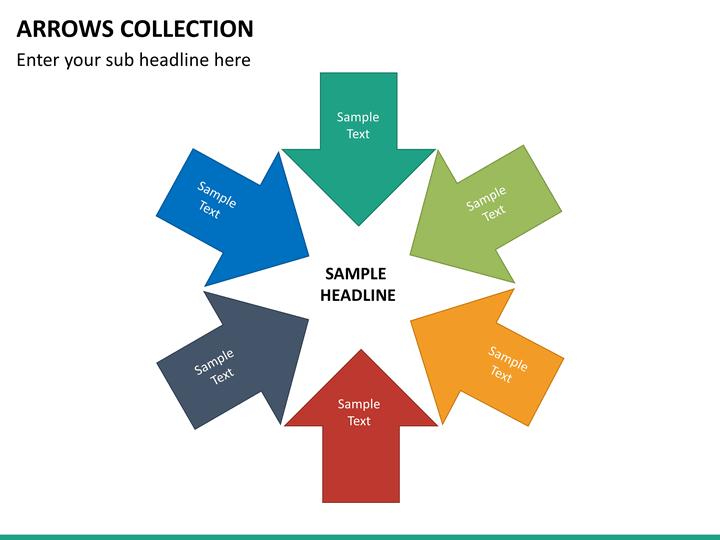 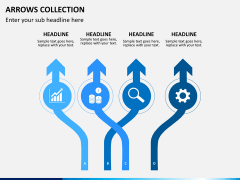 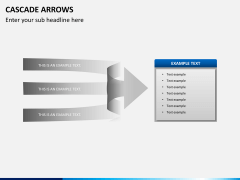 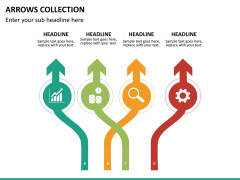 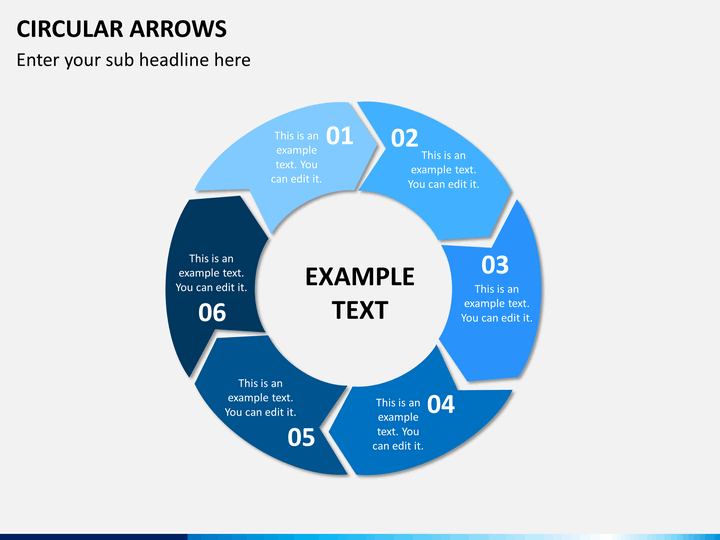 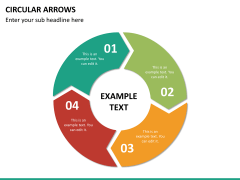 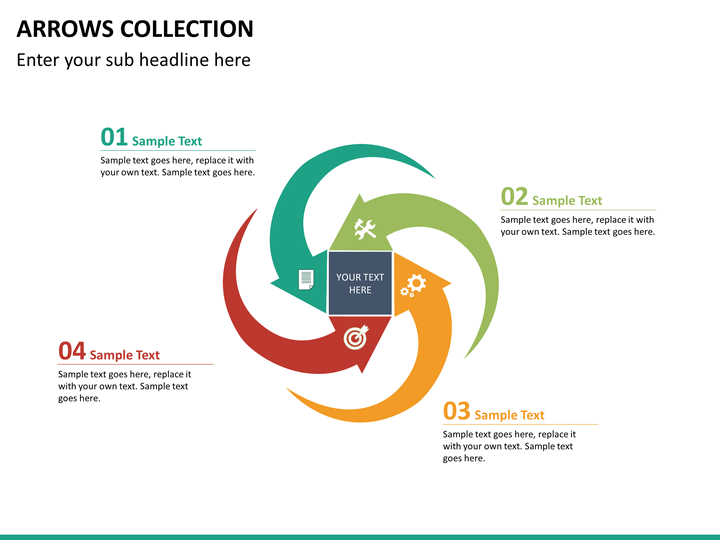 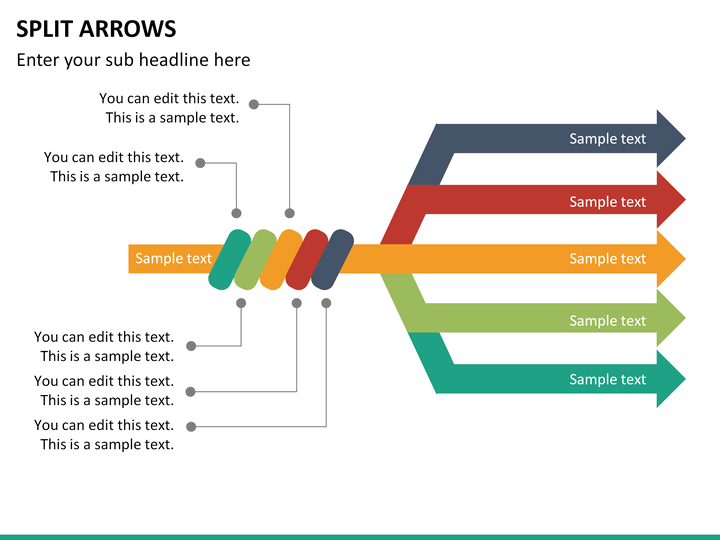 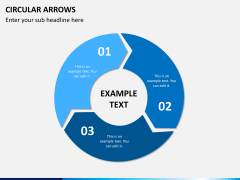 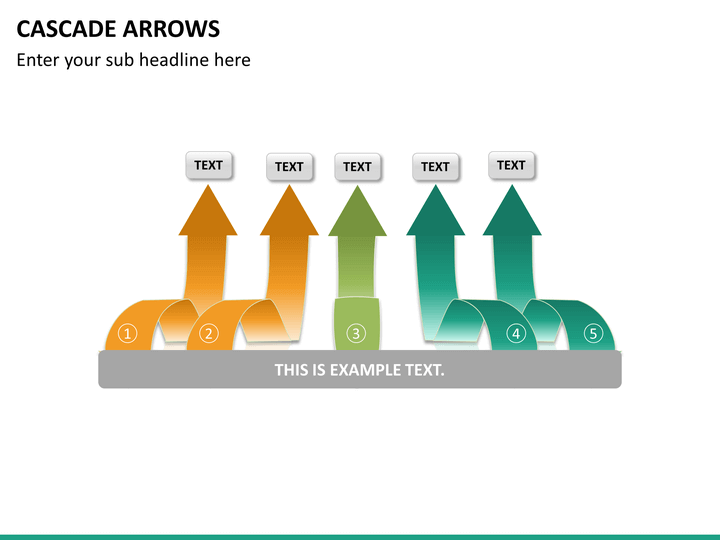 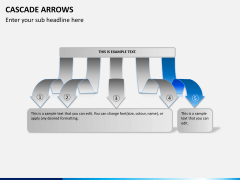 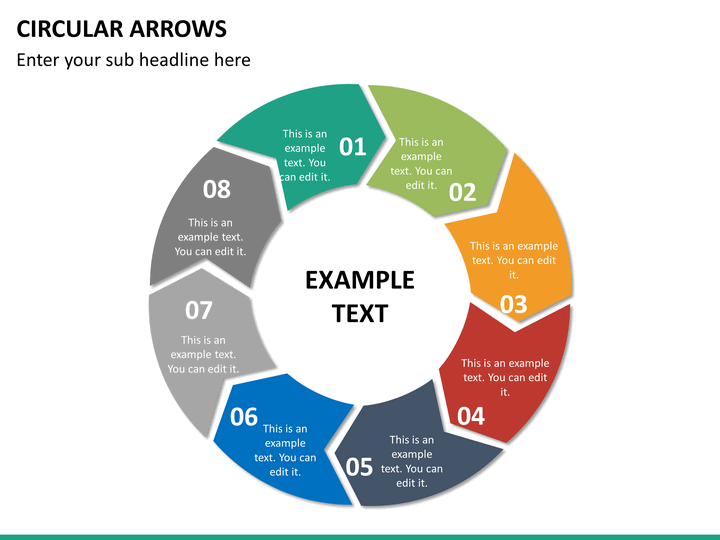 Download this highly extensive range of Arrows diagrams template. 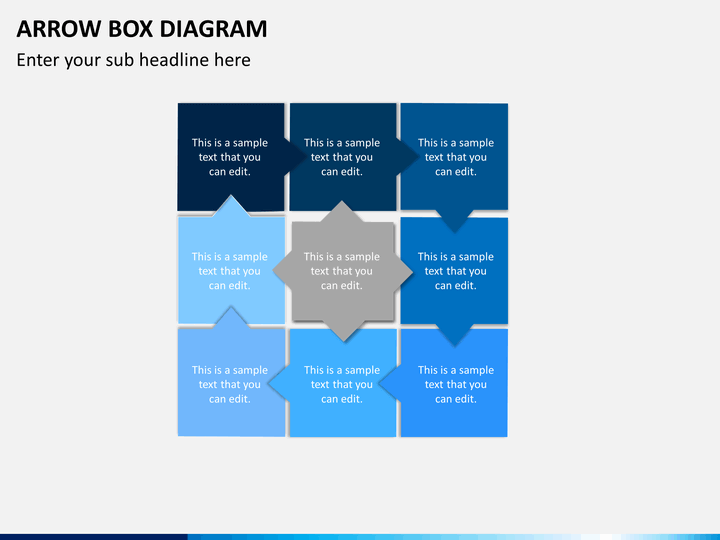 These diagrams are compatible with PowerPoint, Apple Keynote and Google Slides. 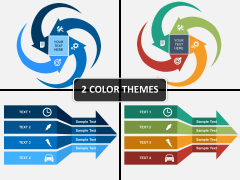 Extremely easy to edit and come in different color themes. 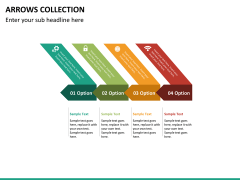 No thanks continue to checkout Arrows Bundle Template . 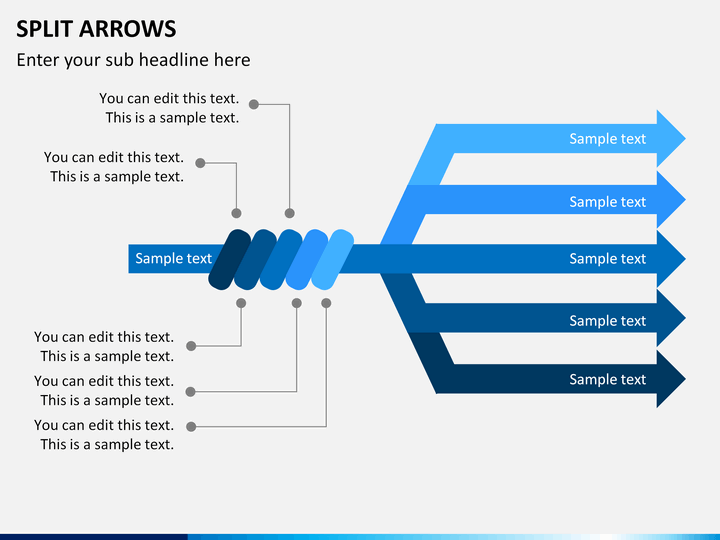 Change the way you draft your everyday presentations with this extensive collection of arrow diagrams and illustrations. The bundle features a wide range of vectors that can be used over and over again. 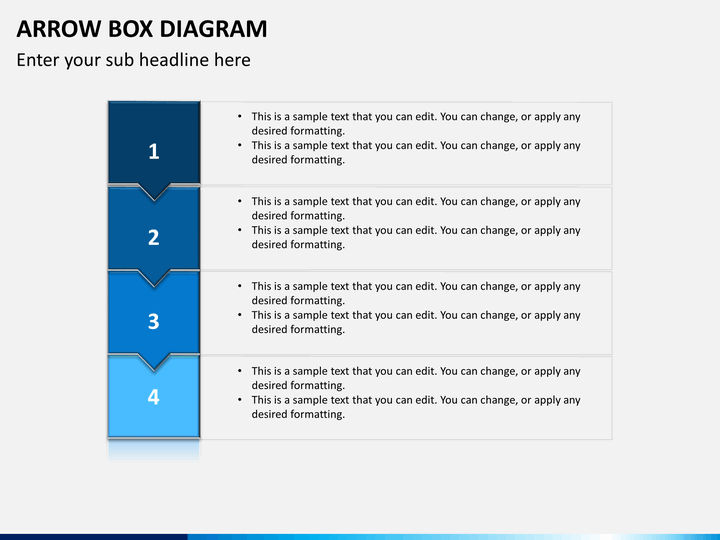 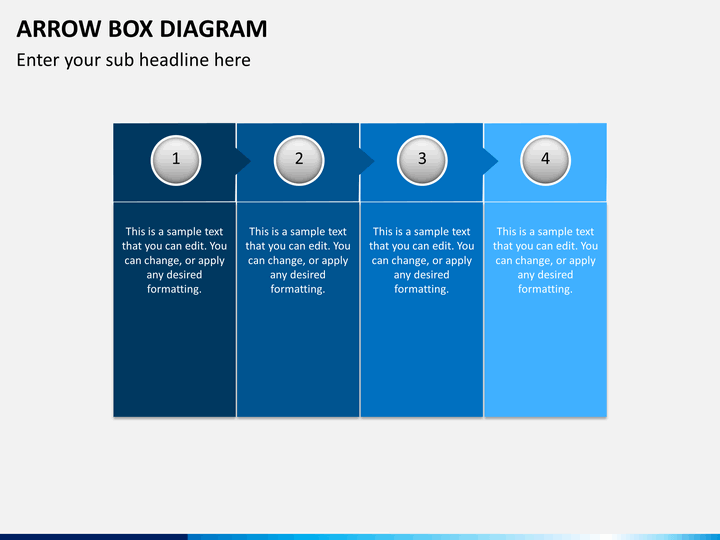 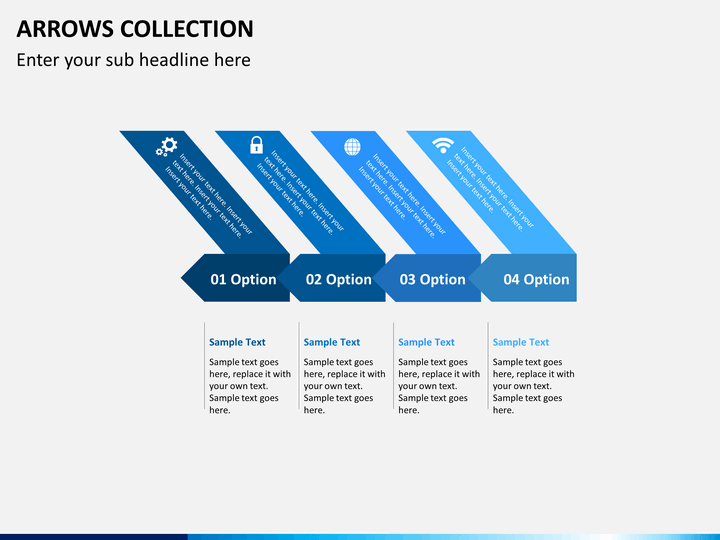 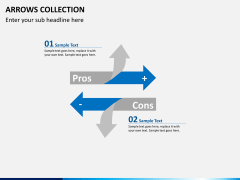 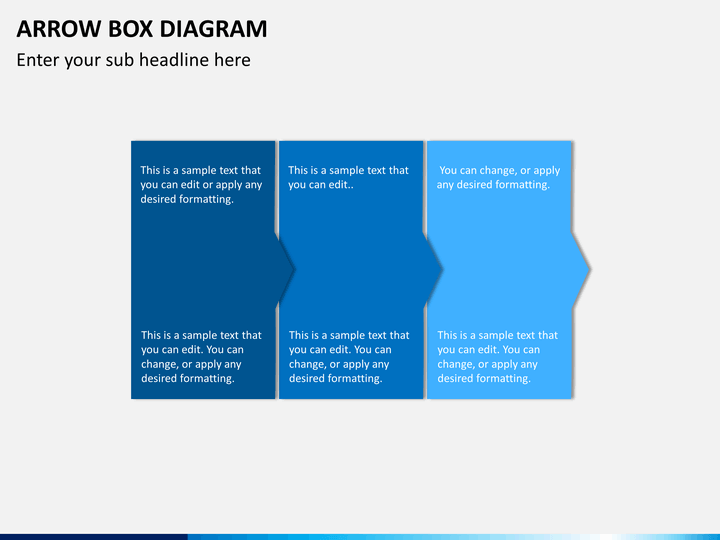 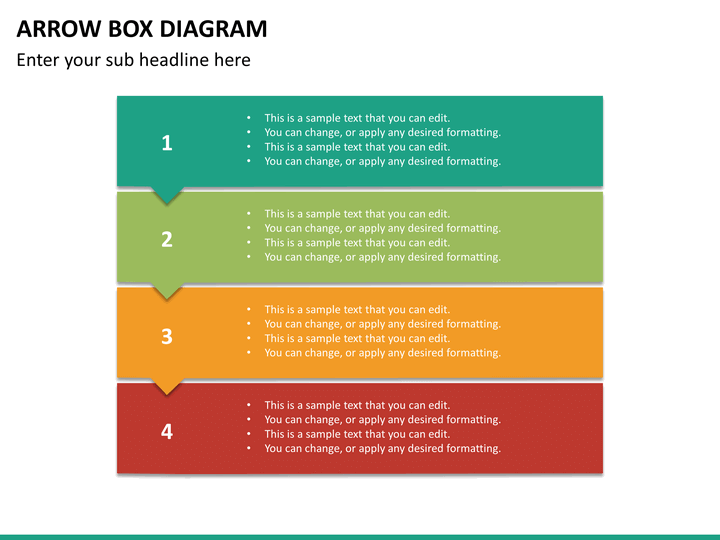 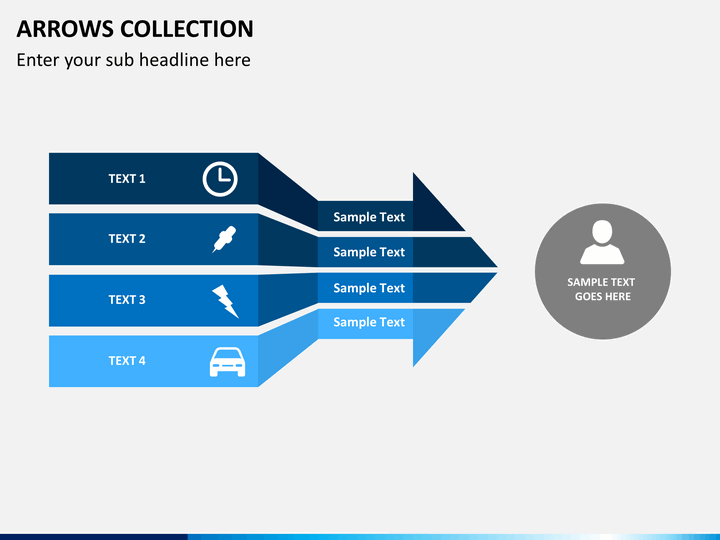 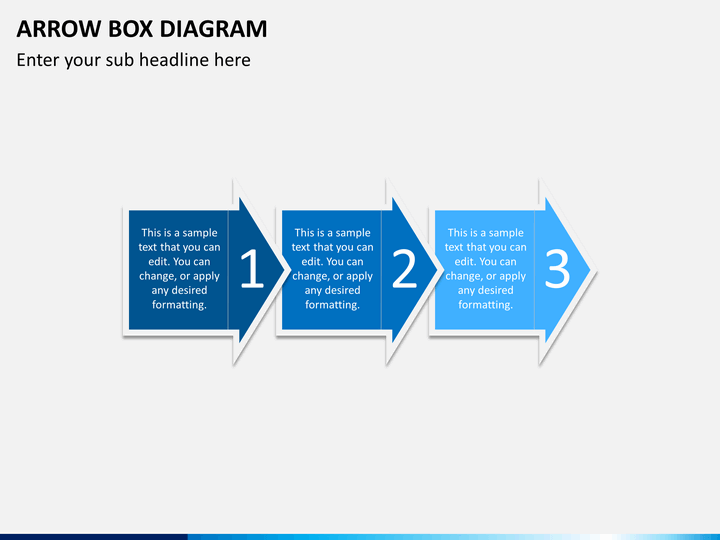 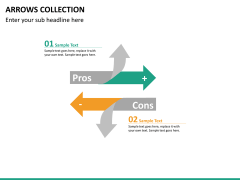 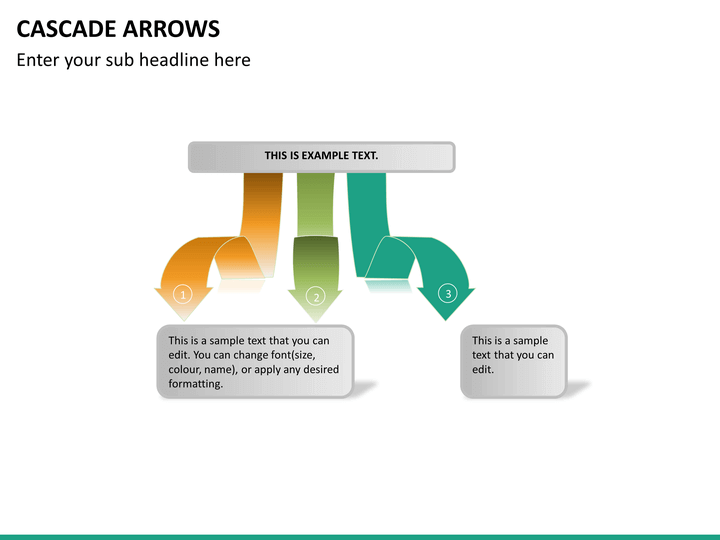 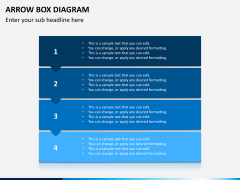 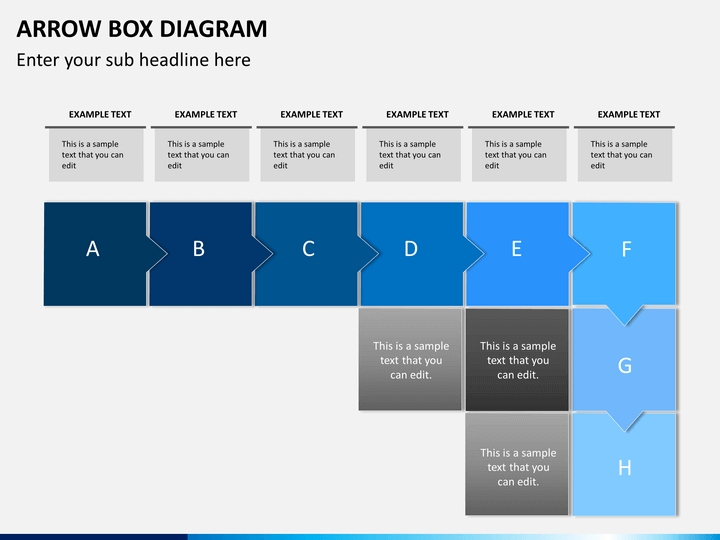 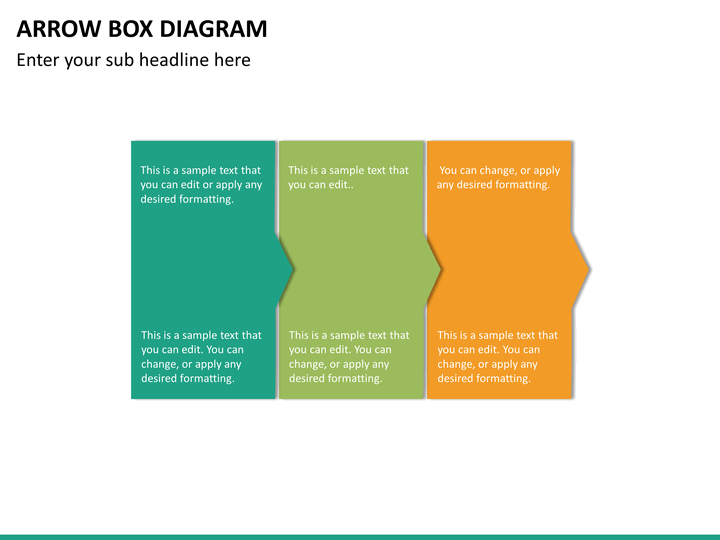 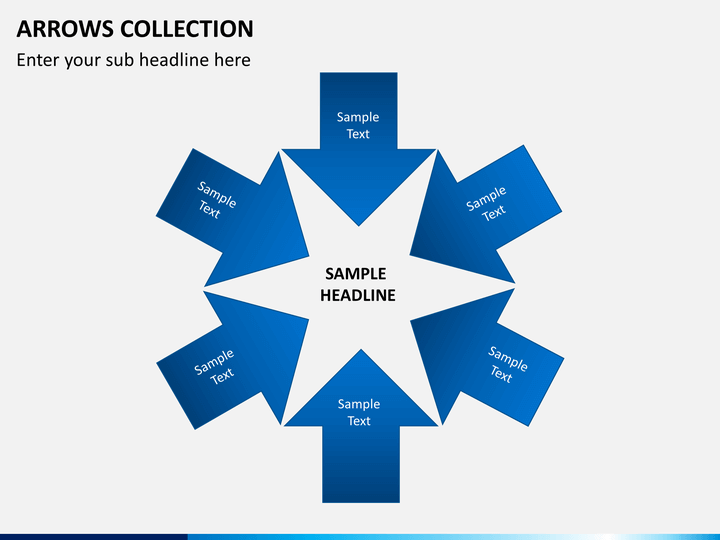 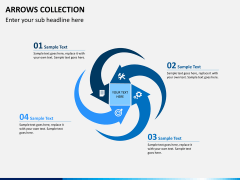 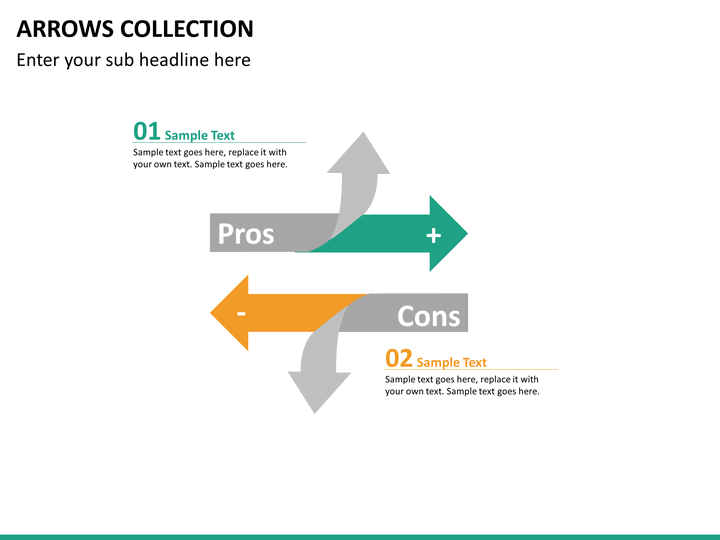 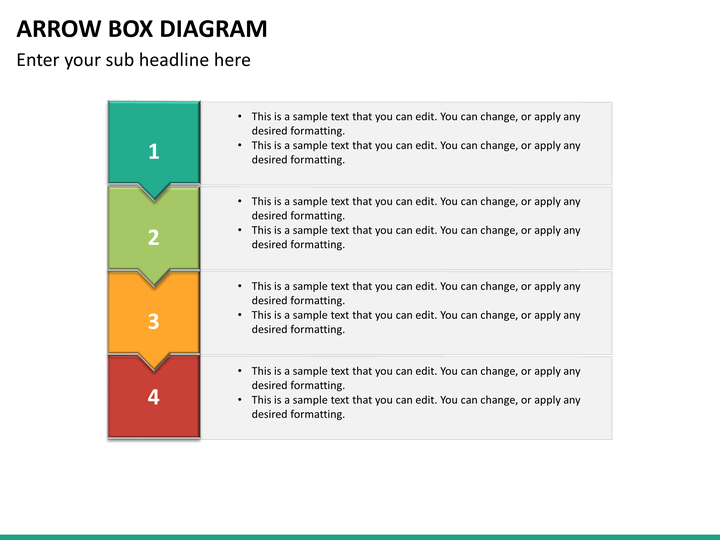 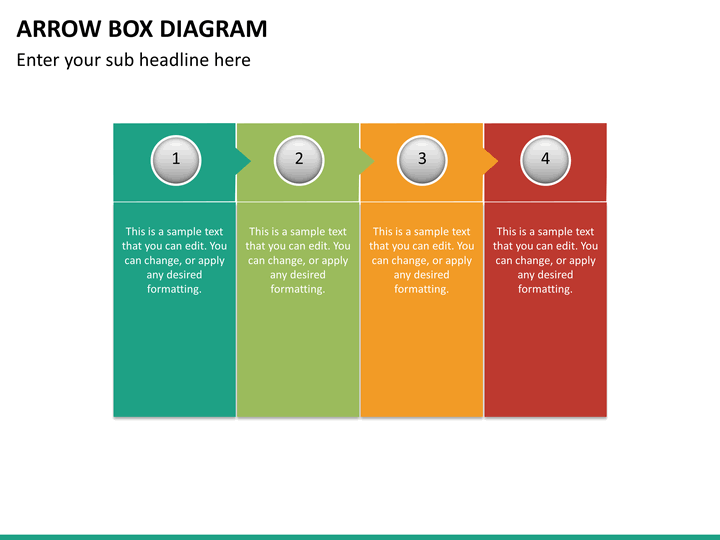 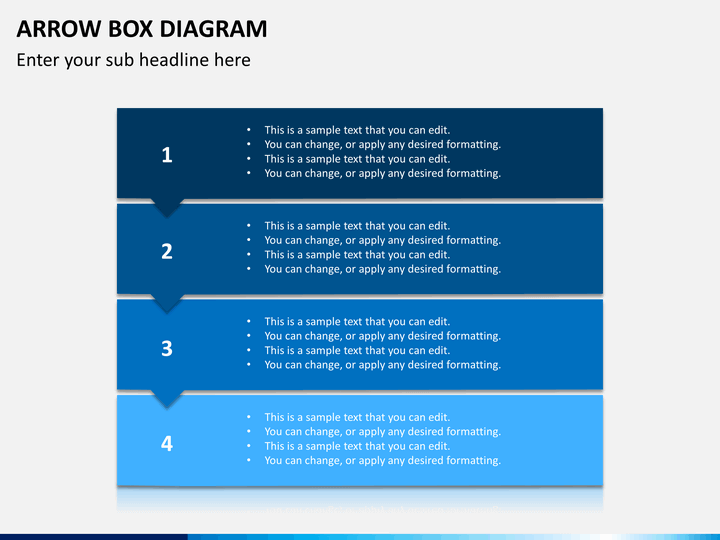 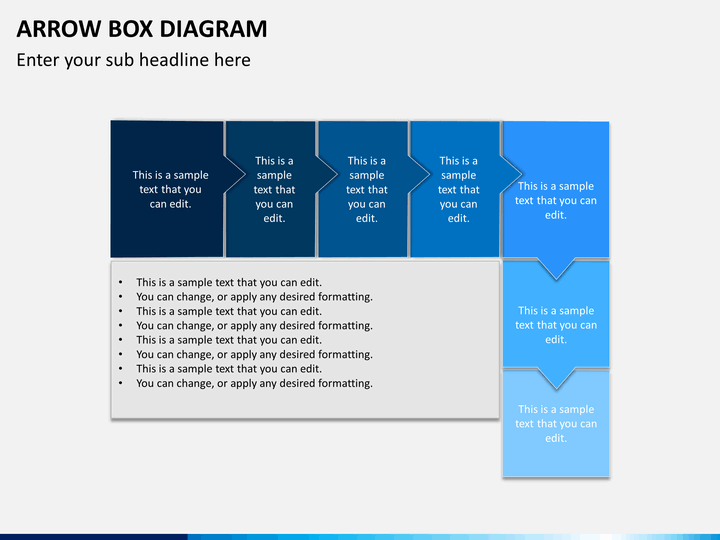 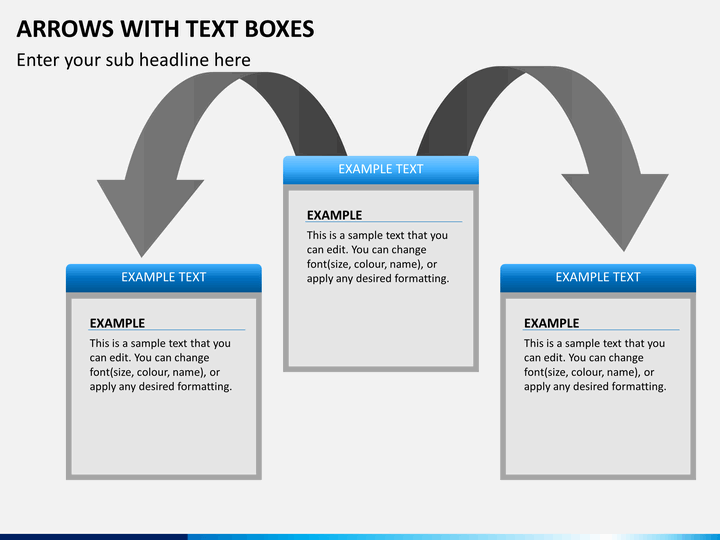 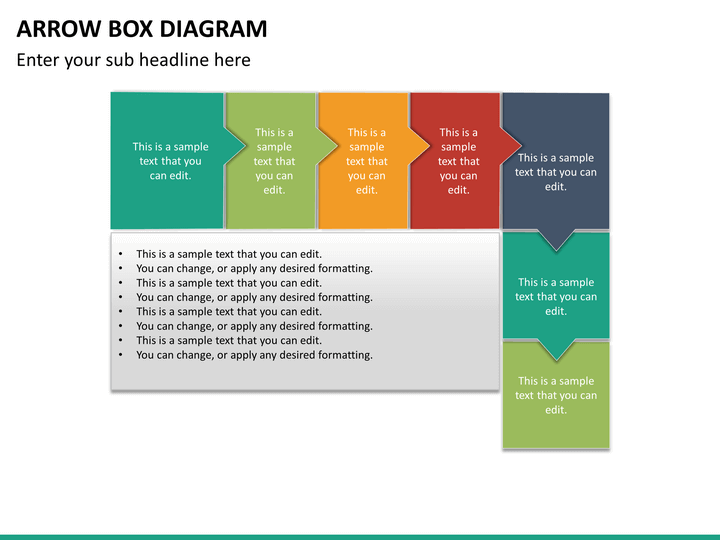 Simply download this PowerPoint template once and use it on multiple occasions to draft visually appealing slideshows. Arrows Collection features 12 different slides of various styles of arrows. 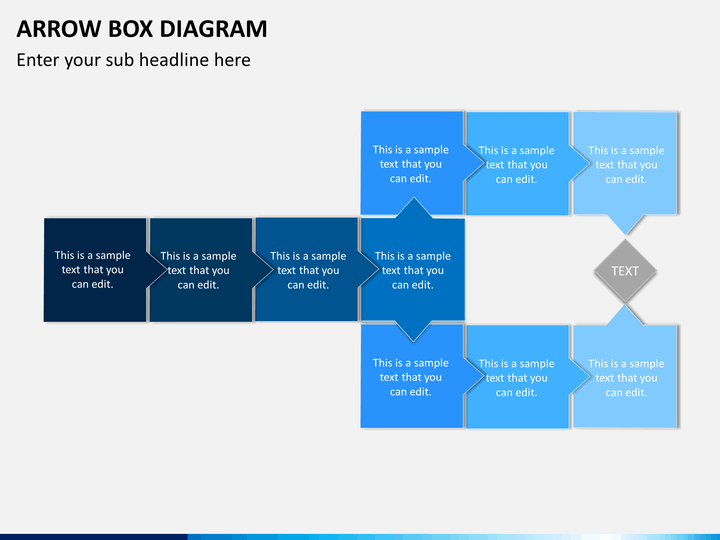 These illustrations can be used to link different components, make flowcharts, timelines, and more. Split Arrows set consists of 8 slides with dedicated vectors of splitting arrows. They can help you with decision making or explain how a single entity can be split into different components. 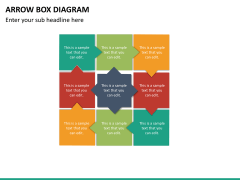 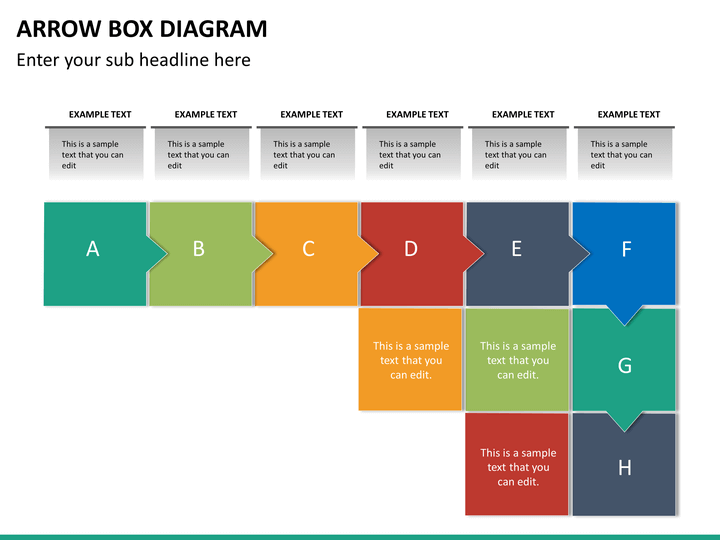 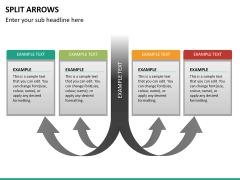 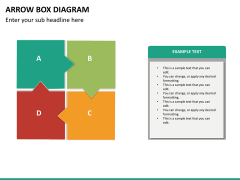 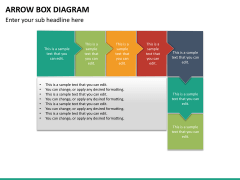 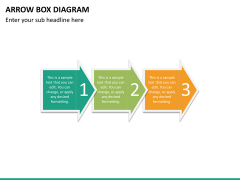 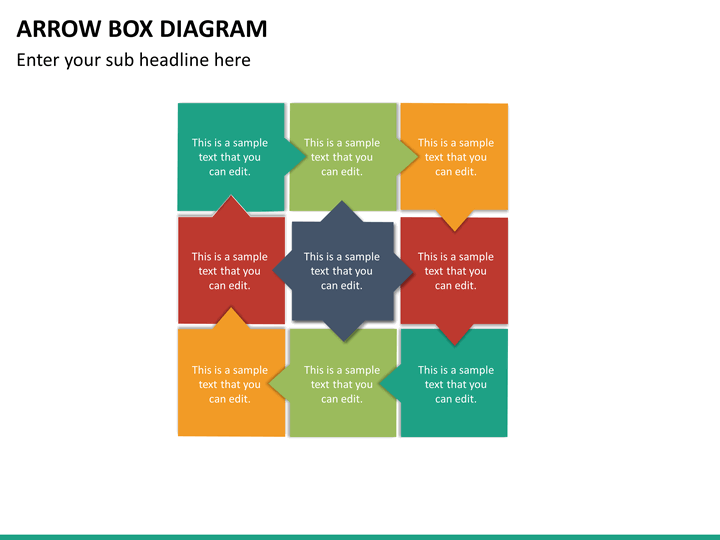 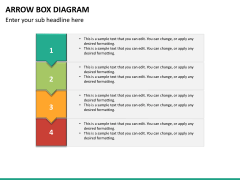 Arrow Box Diagram set includes 11 high-quality slides. 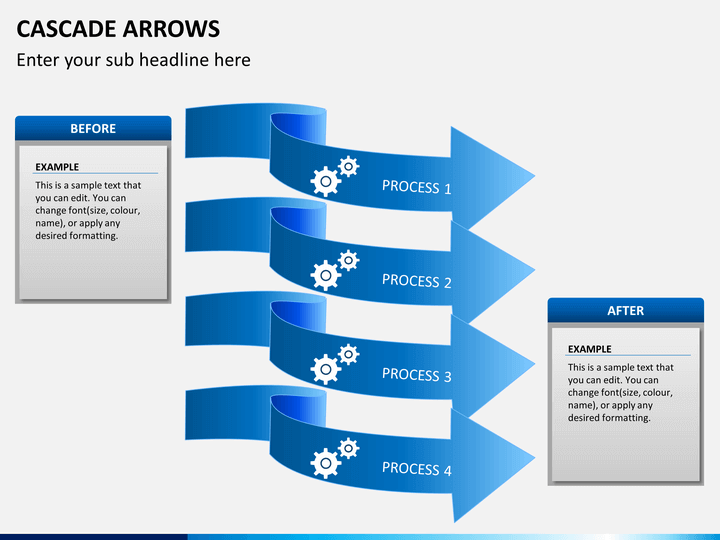 With them, you can provide a more detailed flow of a process. 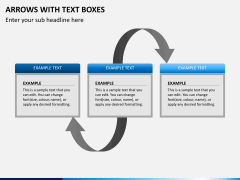 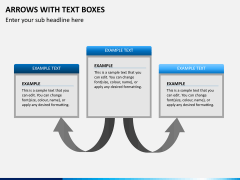 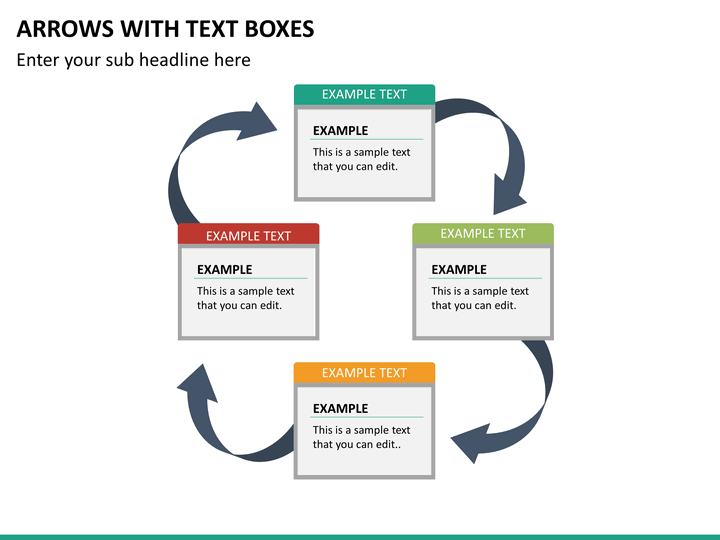 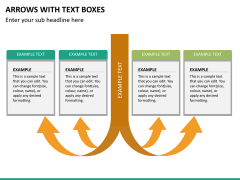 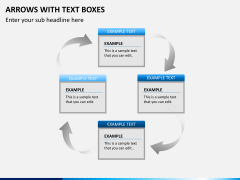 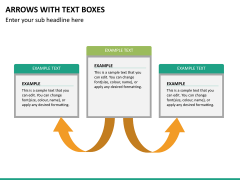 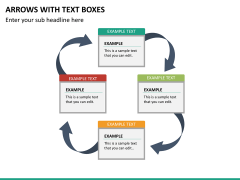 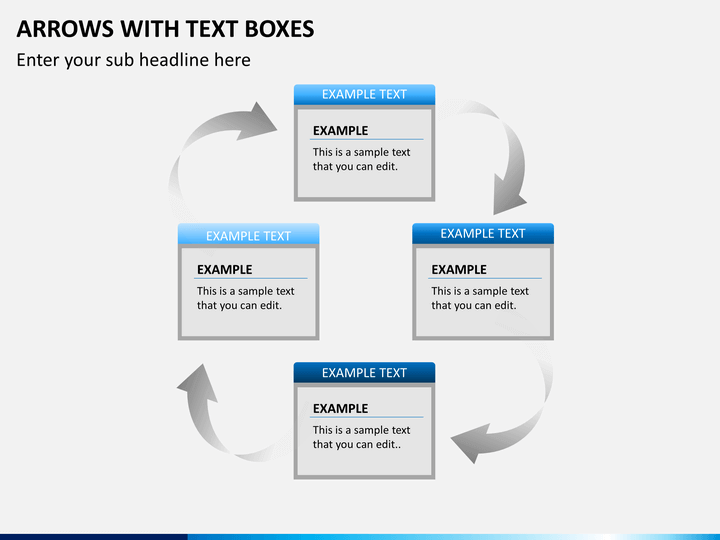 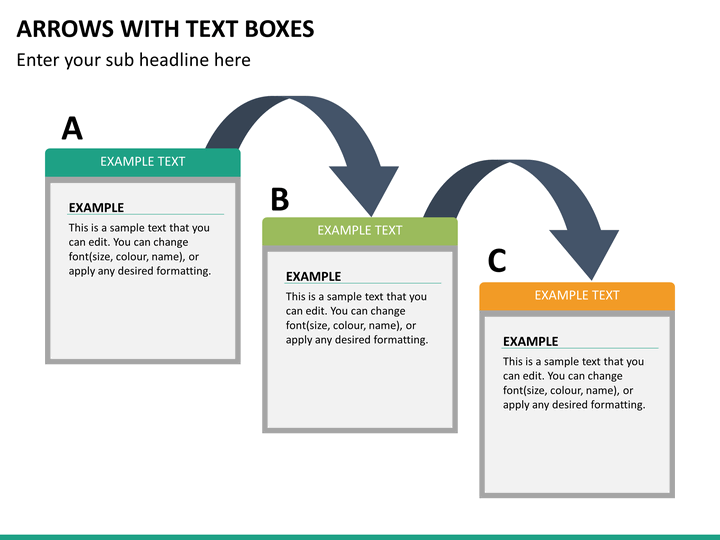 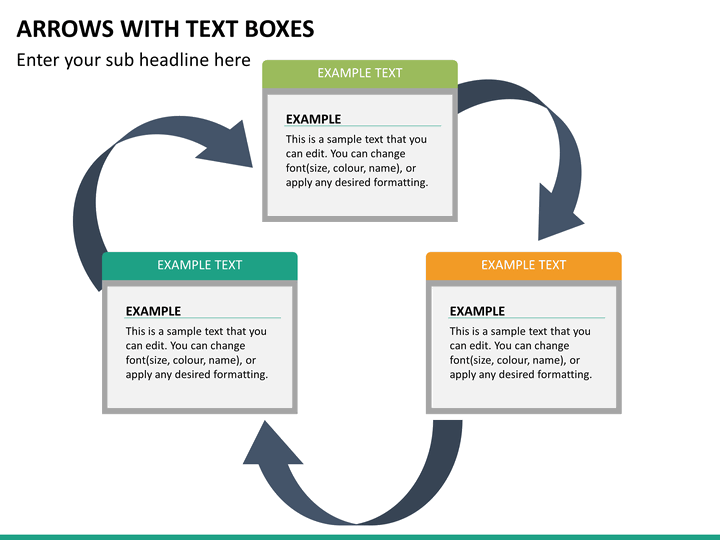 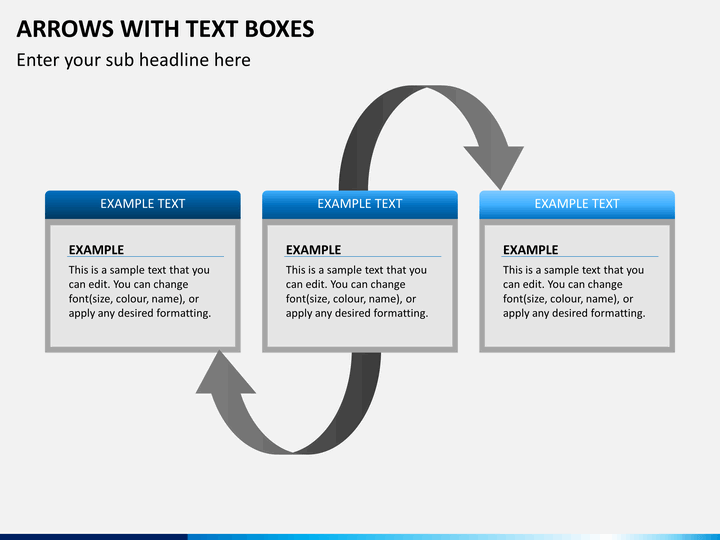 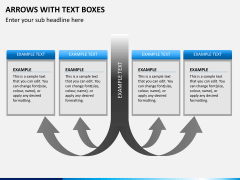 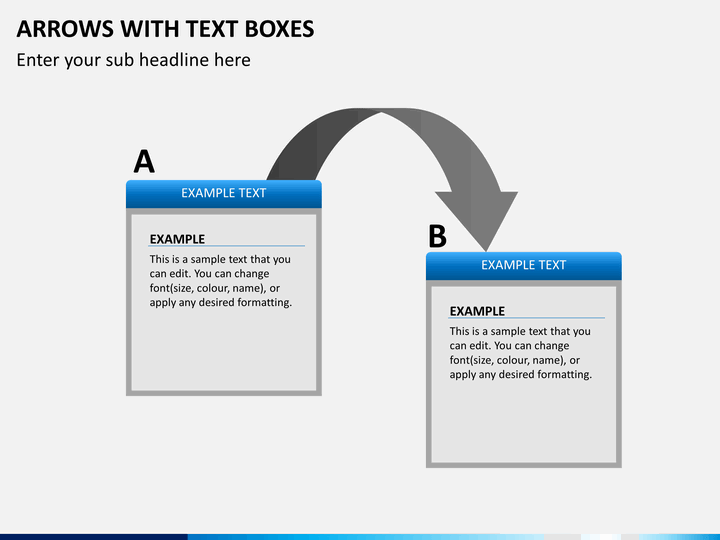 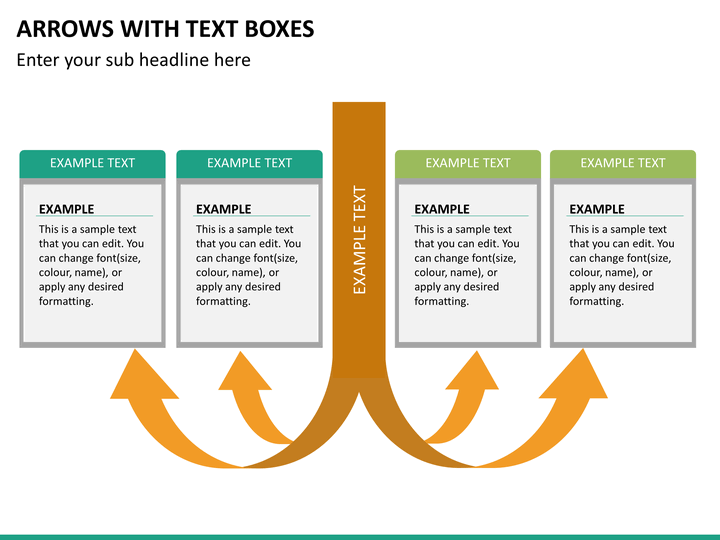 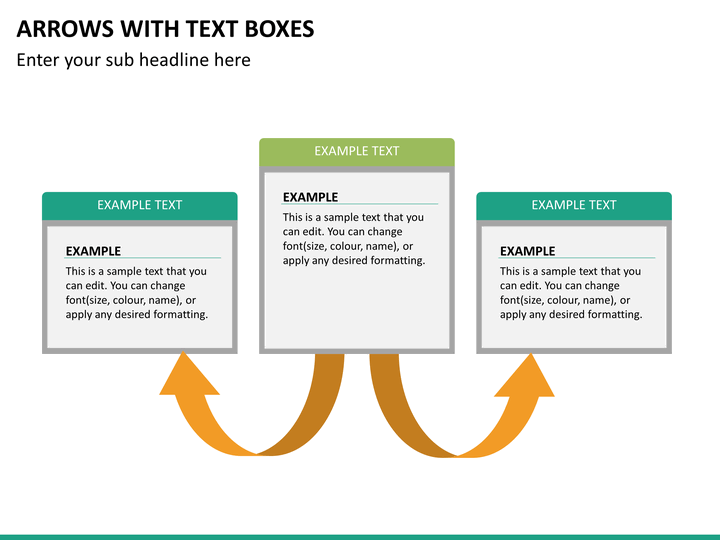 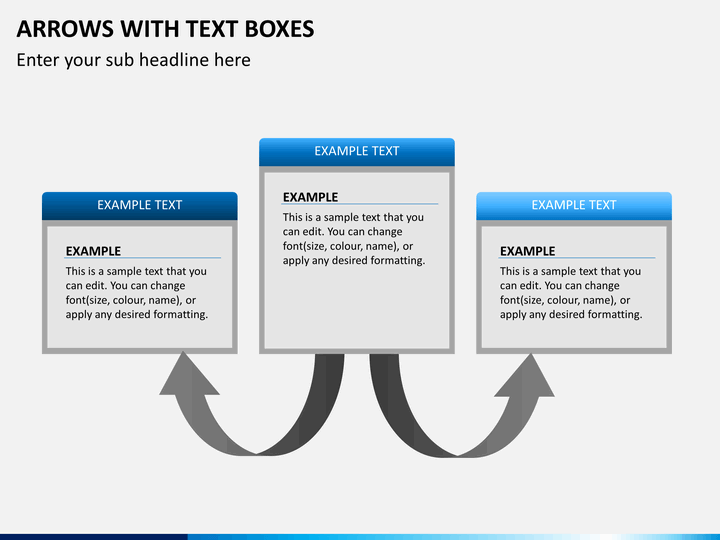 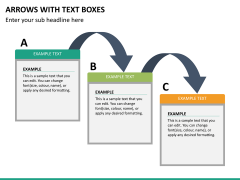 While arrows can link different components, the box can include your text. 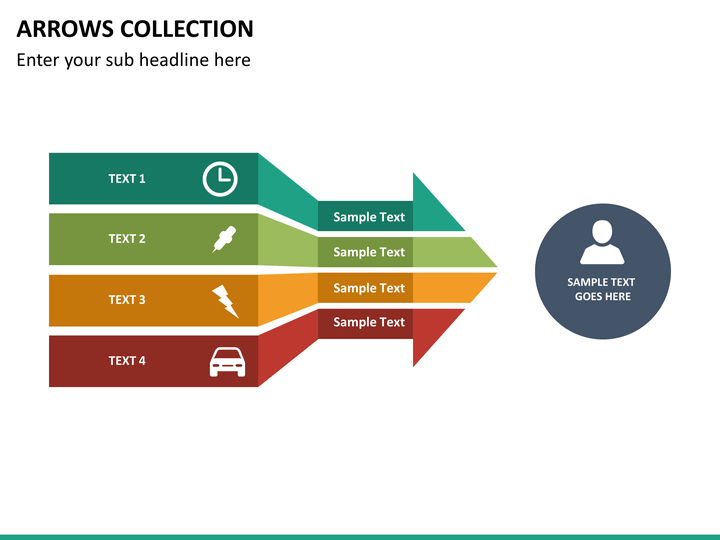 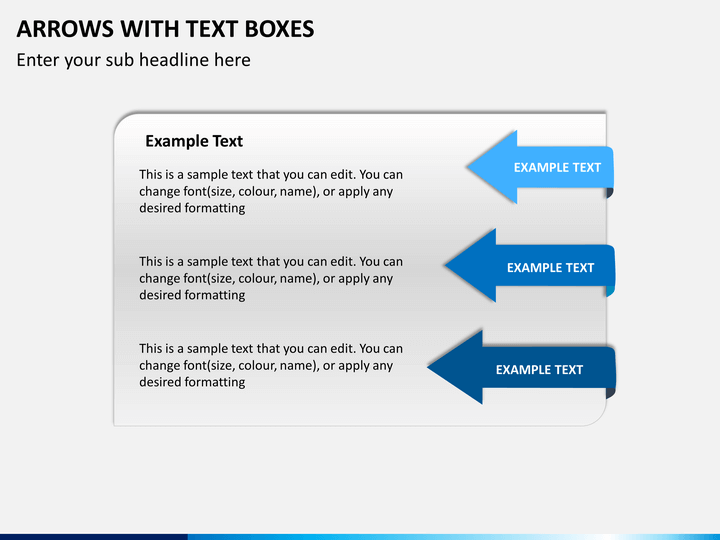 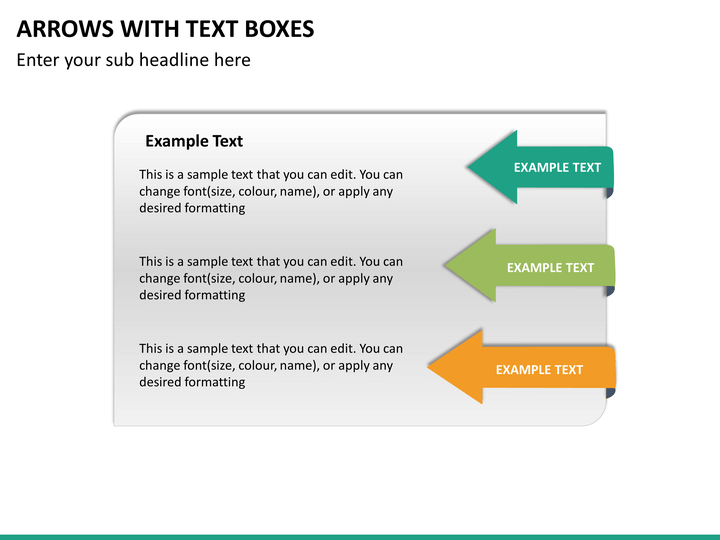 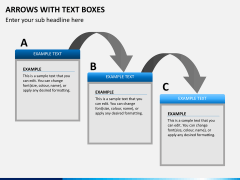 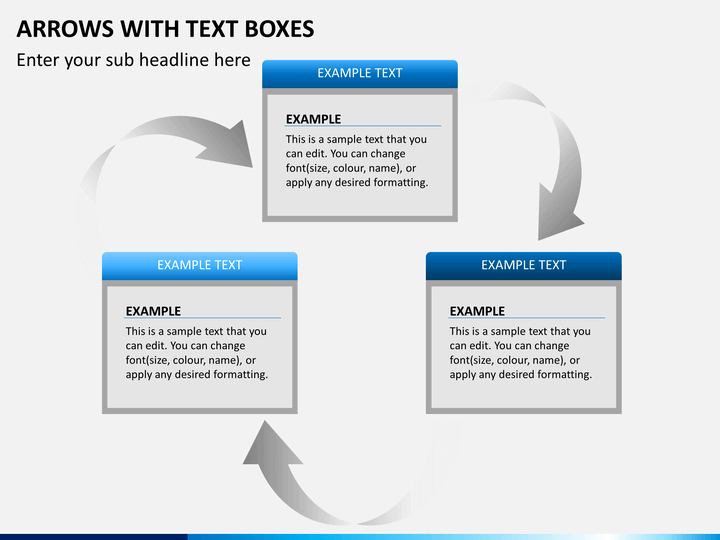 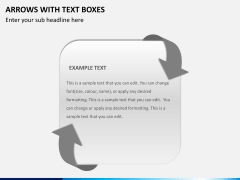 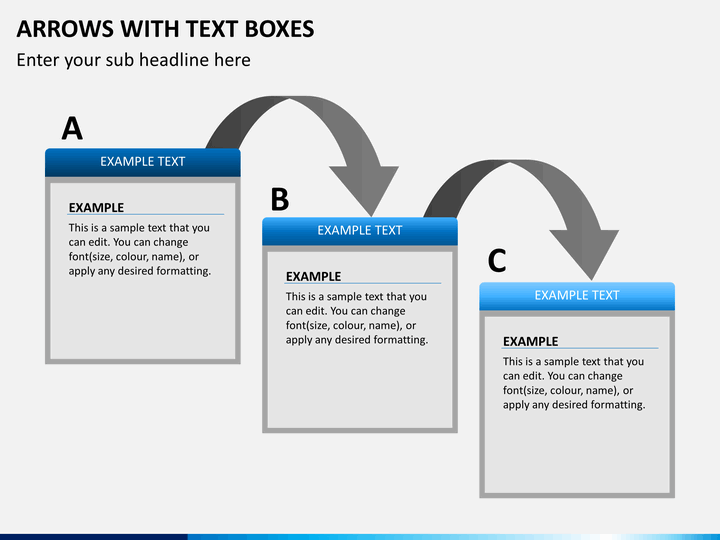 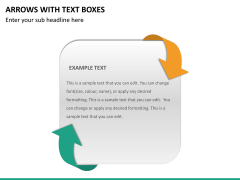 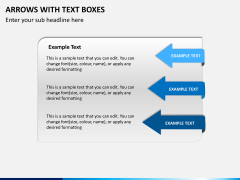 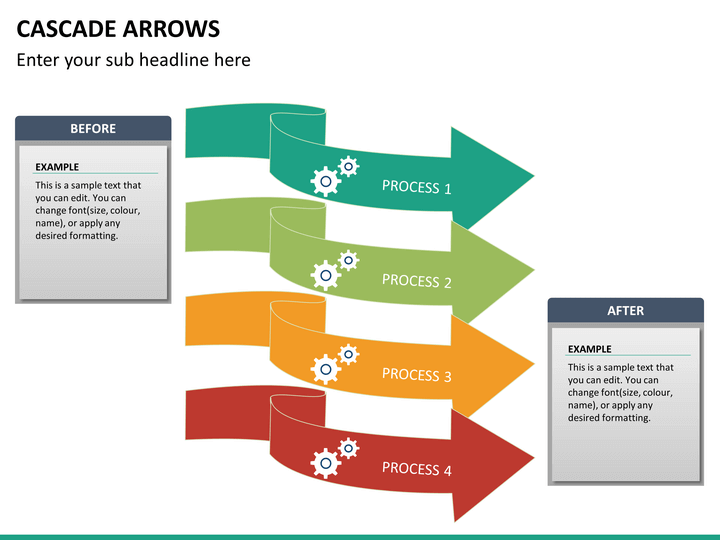 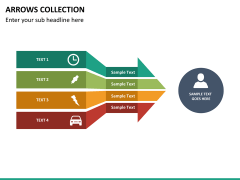 Arrows and Text Boxes will let you provide the needed text in an appealing manner while including arrows. 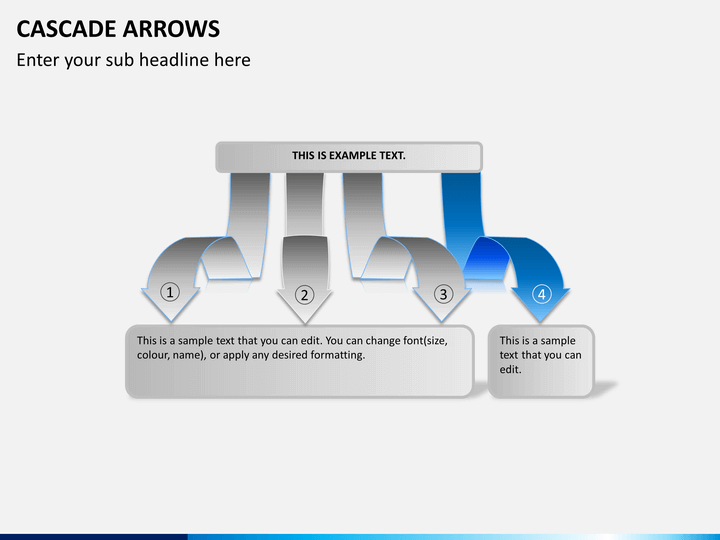 There are 10 different slides of such type in this bundle. 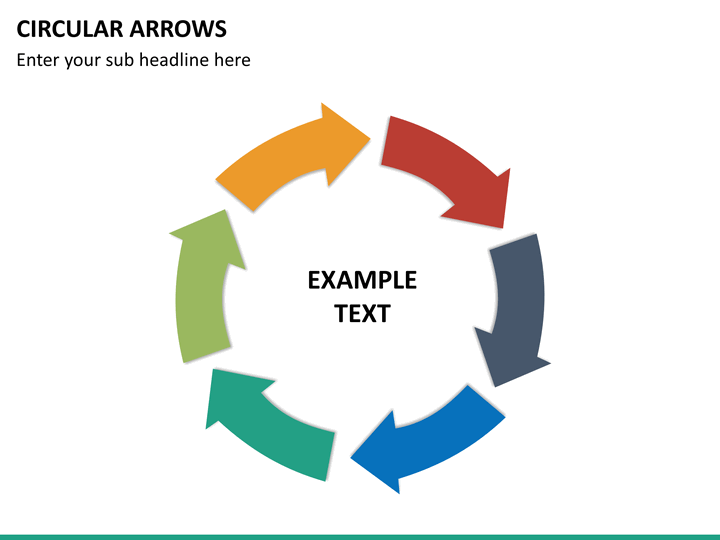 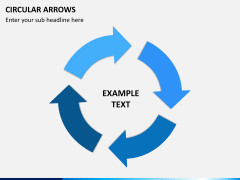 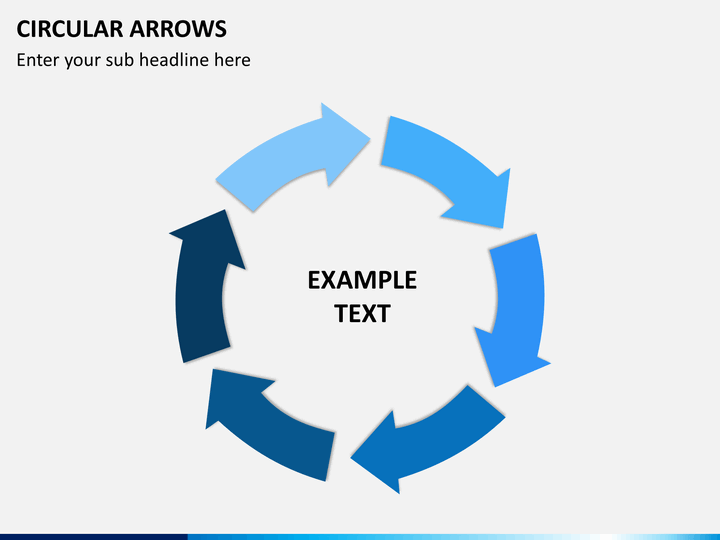 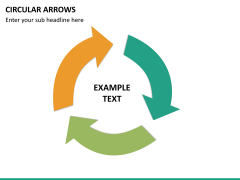 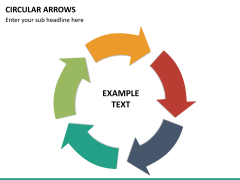 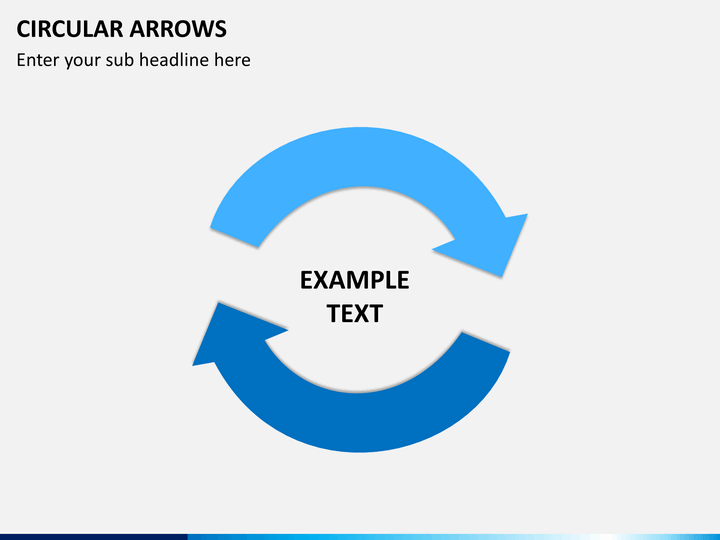 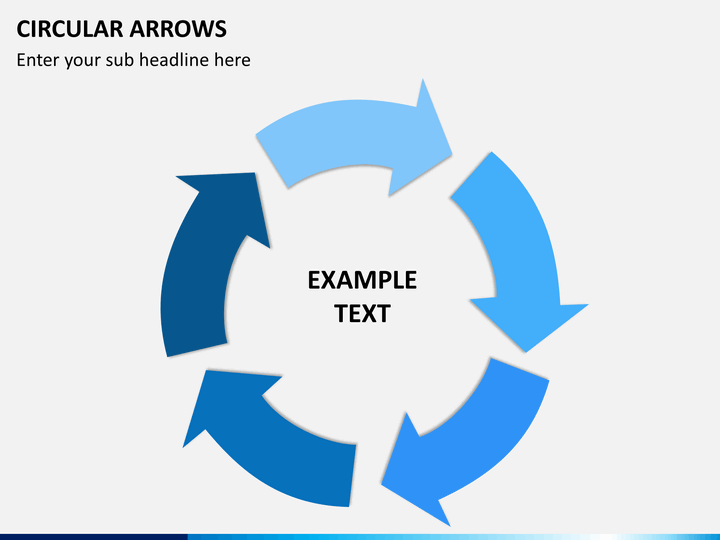 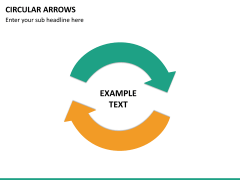 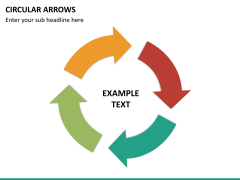 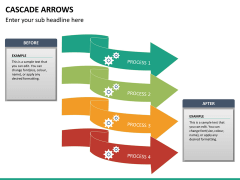 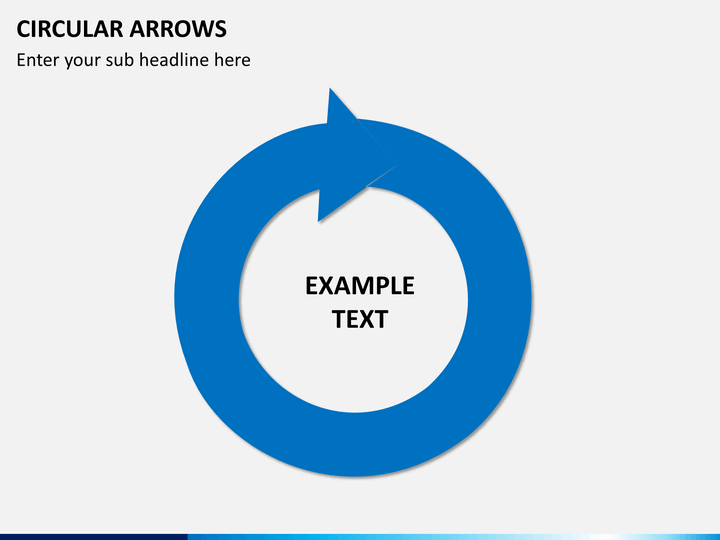 Circular Arrows are majorly used to depict a feedback loop or a recurring process. There are 12 dedicated slides for circular arrows here. Cascade Arrow set features 13 interesting slides. 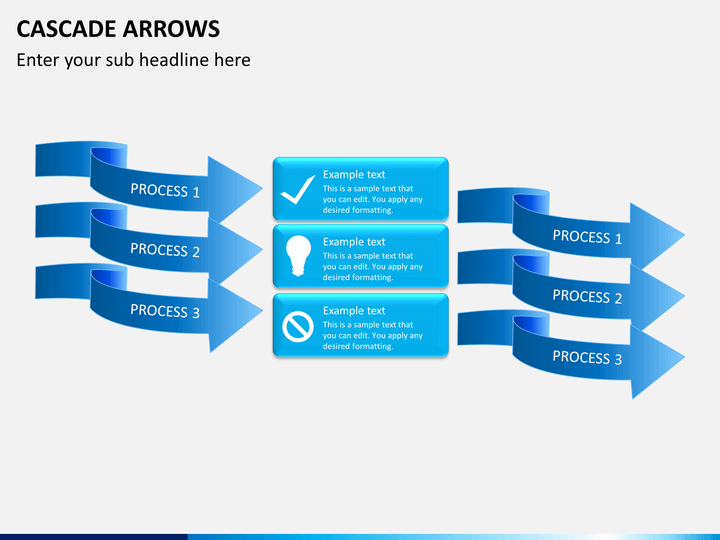 They focus on the cascading of different levels and can be used to depict the flow of numerous components (or levels) together. 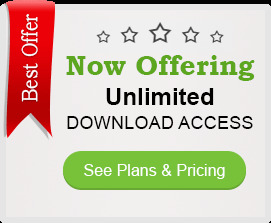 Why should you download this bundle? 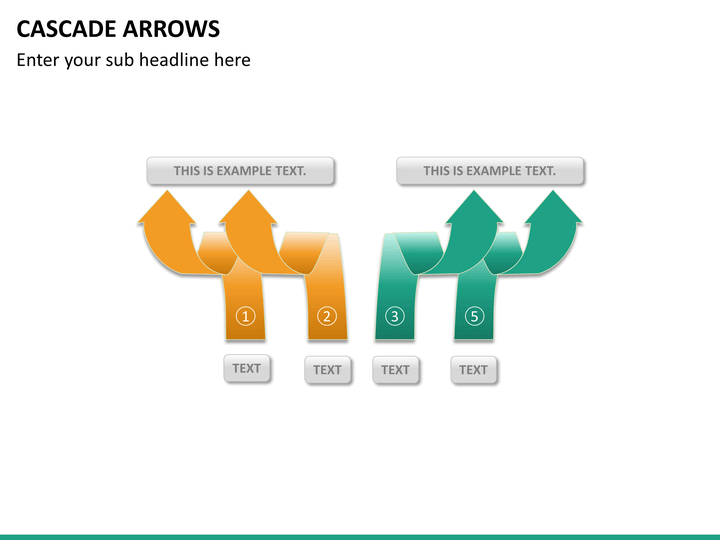 As you can see, there are different kinds of arrow-based diagrams in this bundle. 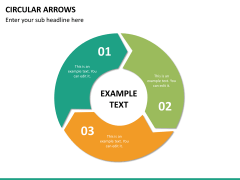 Needless to say, they will come handy to you on numerous occasions and will let you draft interesting presentations for sure. 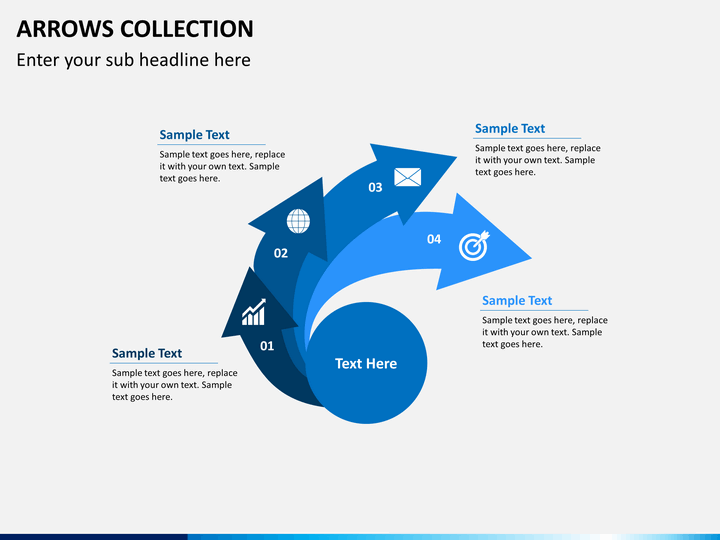 Having a universal appeal, these vectors can be used by almost all kinds of professionals. 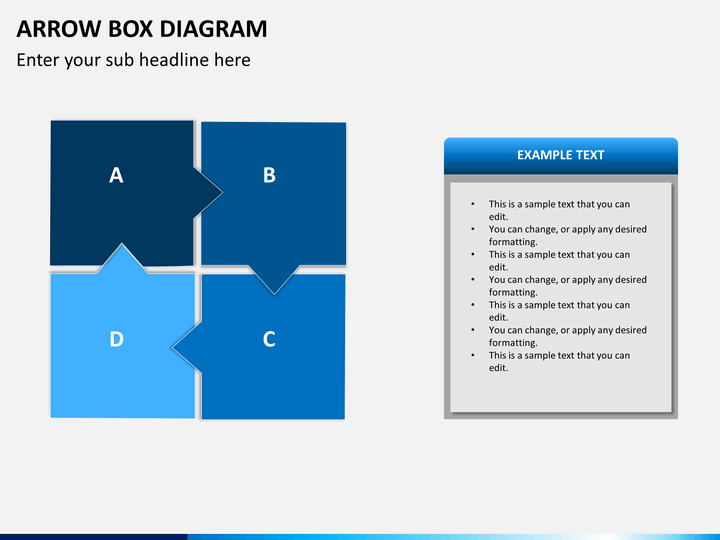 Without investing your time looking for interesting diagrams, you can simply use these PPT slides. 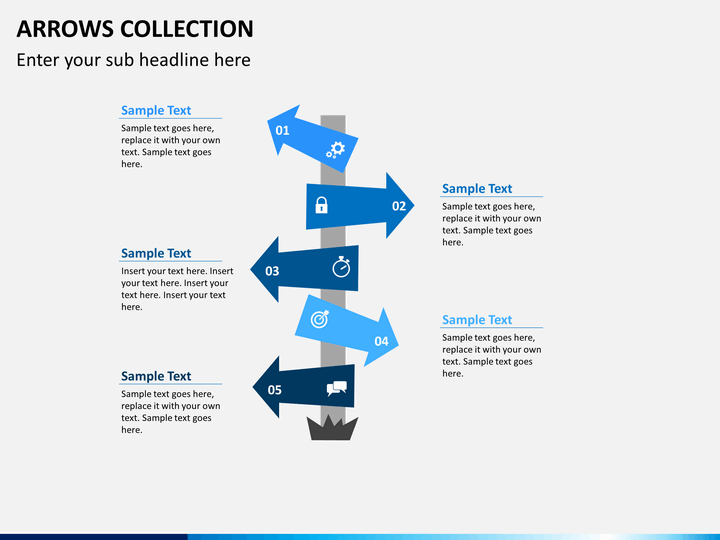 All these illustrations are extremely easy to edit and can be used multiple times without any copyright issue. 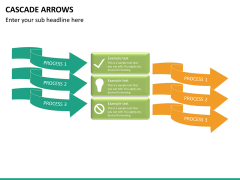 From linking different components to splitting an entity and drafting a feedback loop to delivering your next plan, there are so many things you can do with this bundle. Go ahead and download it right away and be sure to draft engaging and visually appealing presentations.